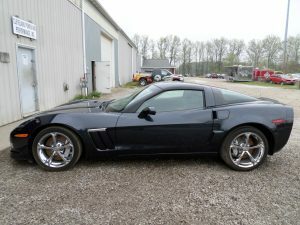 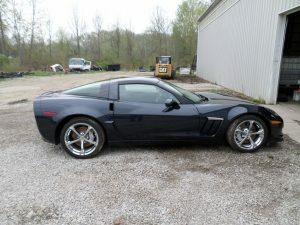 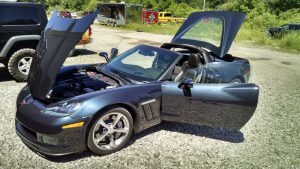 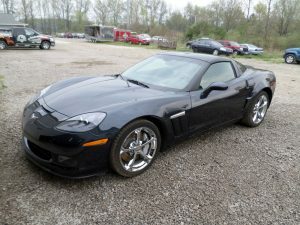 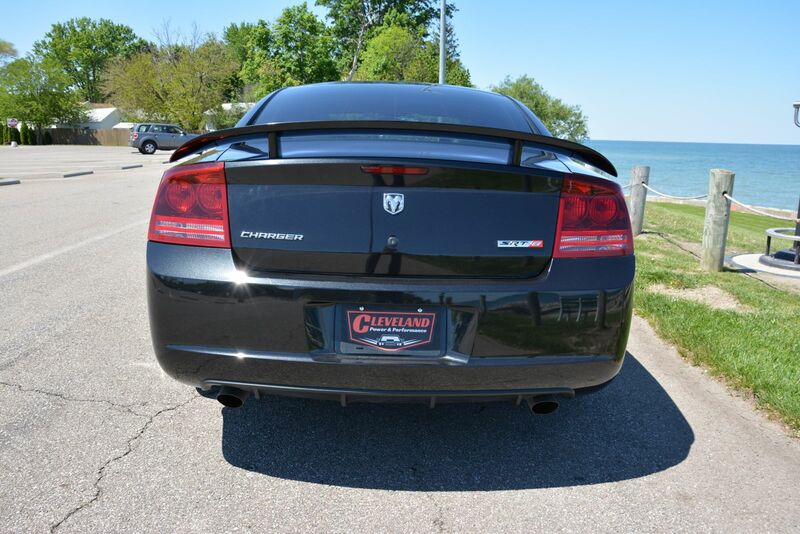 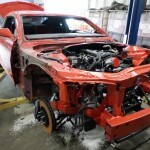 Cleveland Power and Performance is back at it again, rebuilding domestic high performance cars to save you thousands! 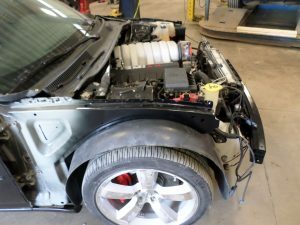 Stay tuned to our blog feed to see many exciting rebuilds in the future, but for now we will be highlighting our latest project a beautiful 2010 Dodge Challenger SRT-8 rebuild! 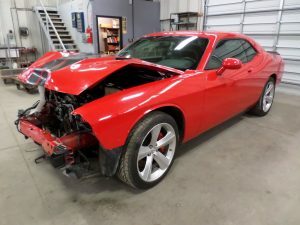 This SRT-8 Challenger was involved in a front end collision, which resulted in it being branded with a salvage title. 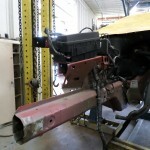 Below you will see the complete rebuild from the time the vehicle got here, to its completion. 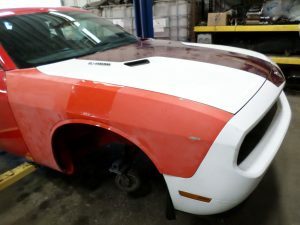 This Challenger now carries a fully transferable salvage rebuilt title and is for sale ready to head to a good home. 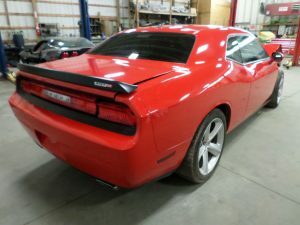 Here are some photos of the challenger as we received it at our facility. 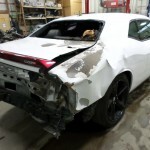 As you can see from the pictures, this vehicle took a front end shot but was hit high which did not deploy the airbags or result in and damage to the engine or driveline. 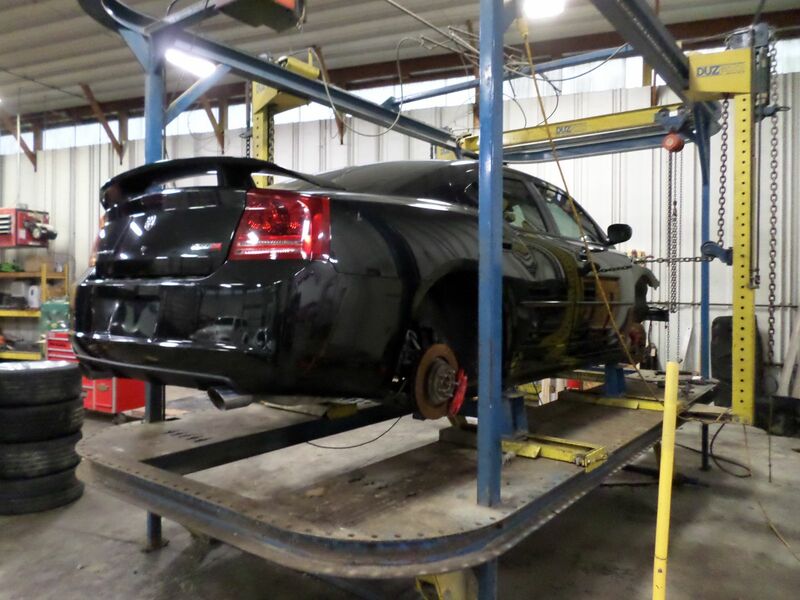 We get many late model SRT vehicles in here and part a good amount of them out, however we thought this vehicle deserved to be fixed properly and put back on the road. 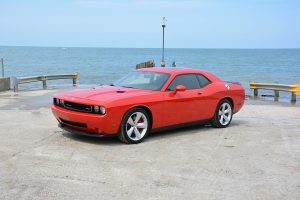 The SRT brand has a cult like following and many Mopar fans love the raw power of the 6.1L engine and the iconic looks of this Challenger. 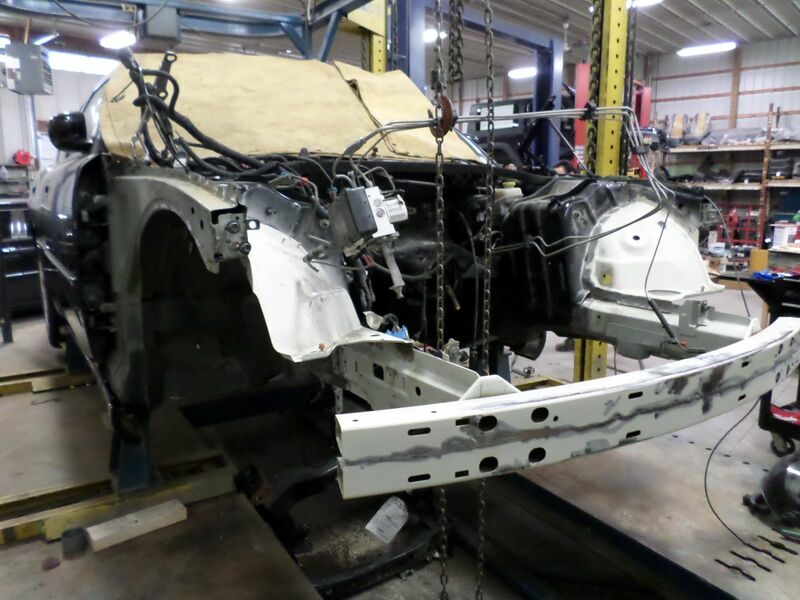 As always, we at Power and Performance aim to set ourselves above the rest when repairing wrecked vehicles. 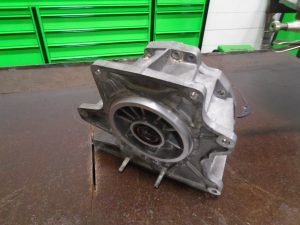 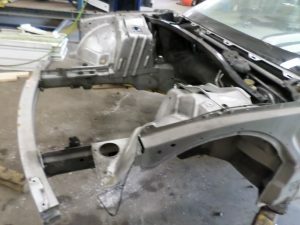 We do not cut corners or spare expensive when doing a rebuild. 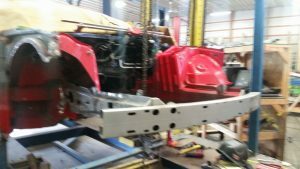 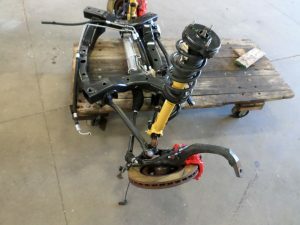 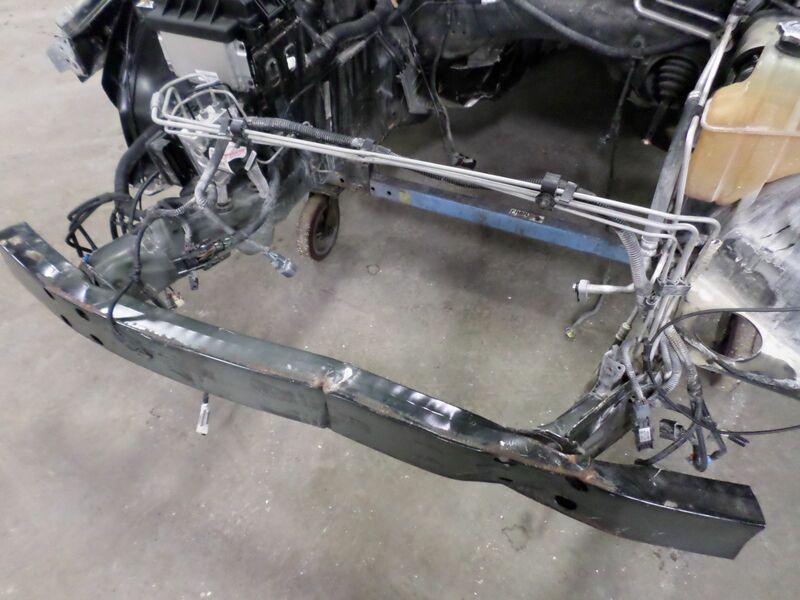 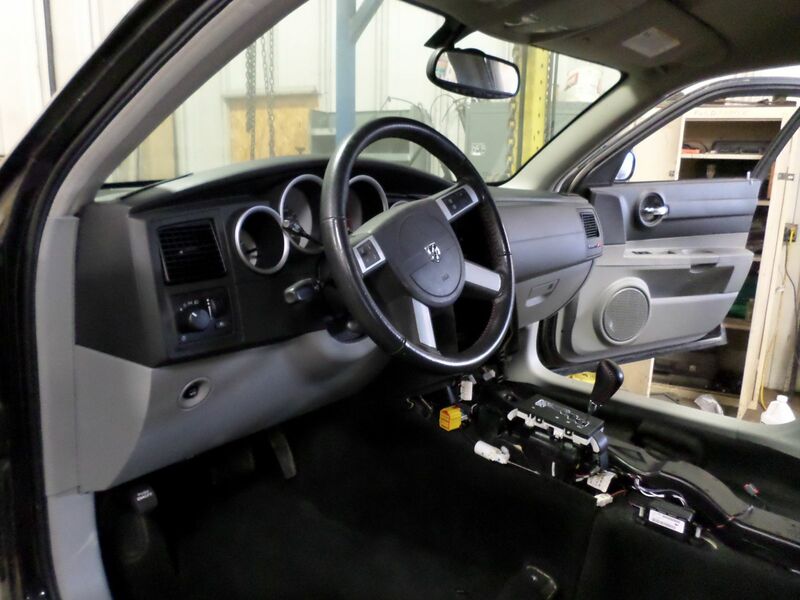 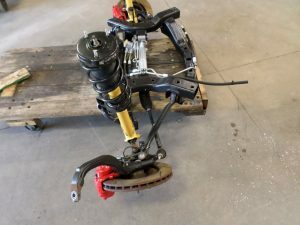 After racking the vehicle on the lift and looking at the frame rails and the suspension, we determined that the best way to fix this vehicle was to replace the lower frame rails and use a complete front suspension from an unit donor. 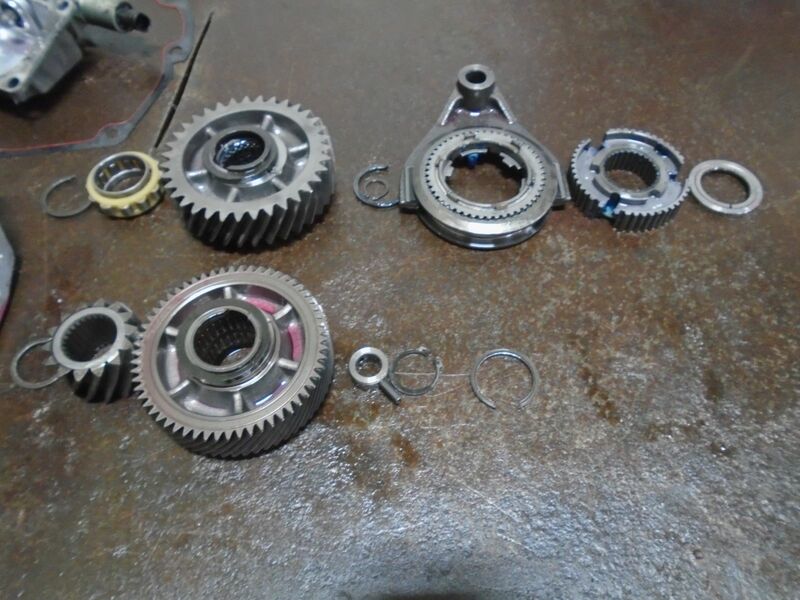 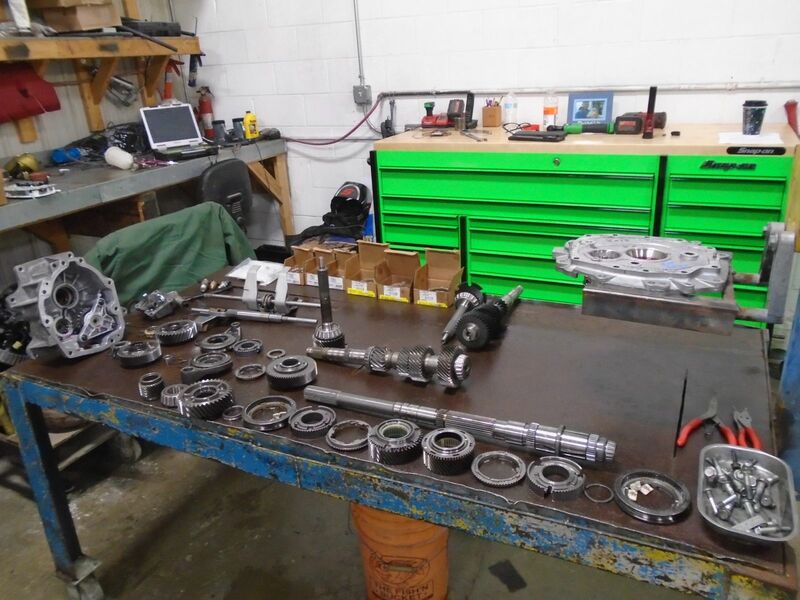 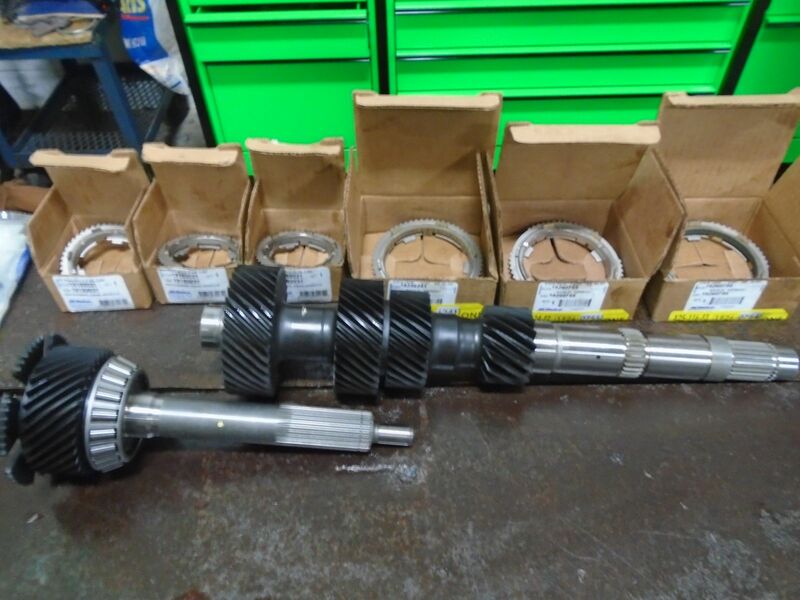 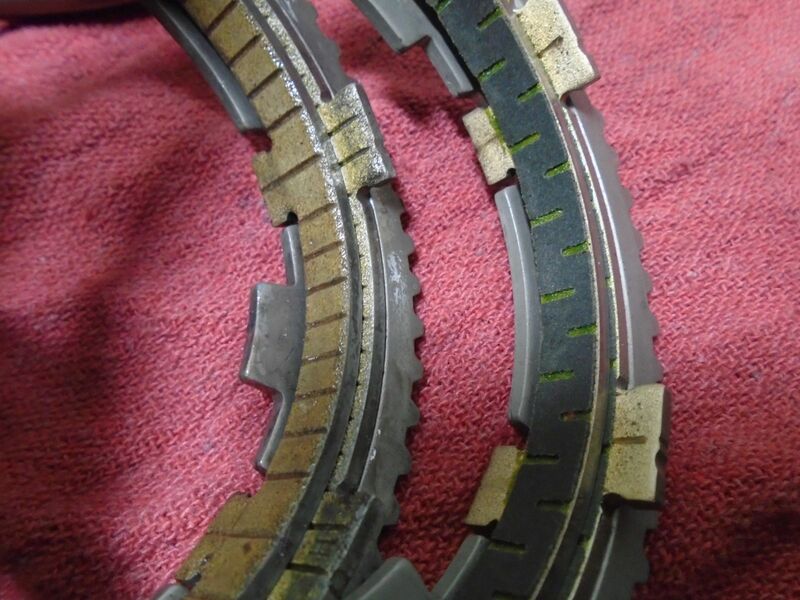 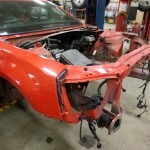 Here are the pieces we used to fix this Challenger before we put the car on the frame machine. 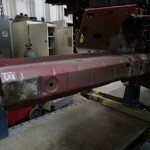 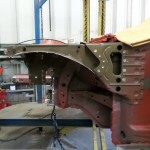 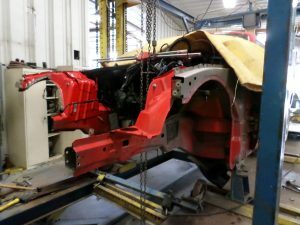 We then put the Challenger on the frame machine to cut and remove the damaged rails to begin the nitty gritty of the rebuild process, the measuring and welding. 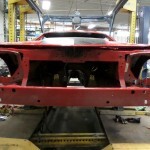 Here is what the Challengers frame looked like underneath the damaged body panels. 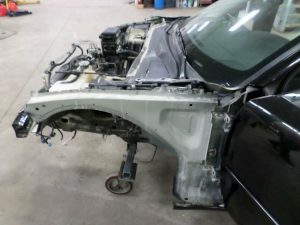 We the removed the damaged frame and apron area at the proper locations to allow the installation of the undamaged frame components. 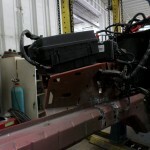 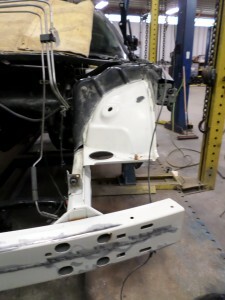 After the left hand frame rail and bumper bar were welded in, the aprons and header panel were put in place. 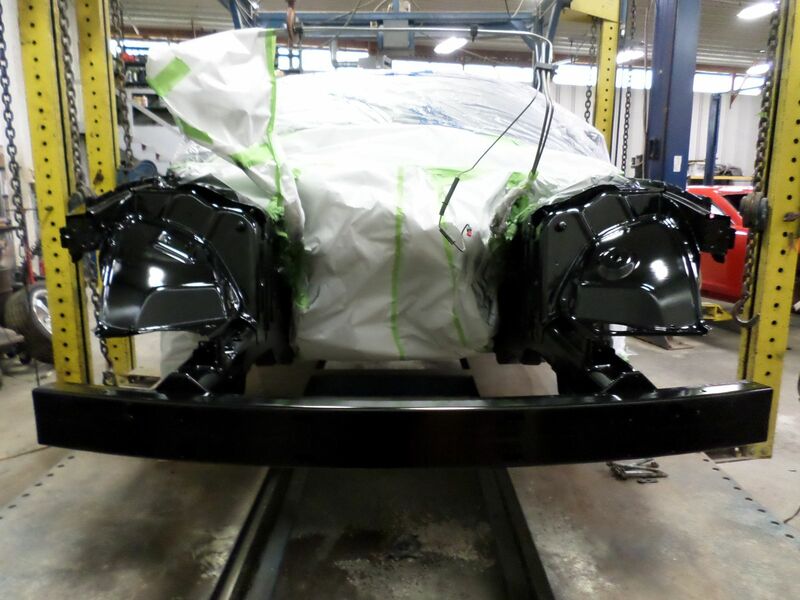 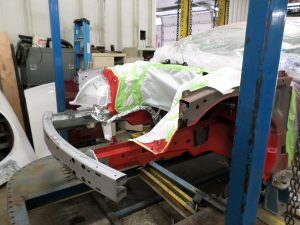 Once all of the frame and apron components were properly installed it was time to paint them with factory Chrysler paint. 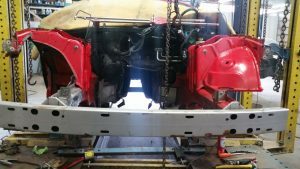 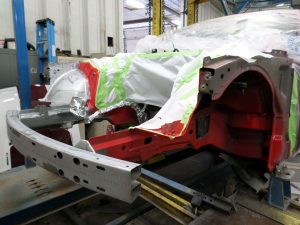 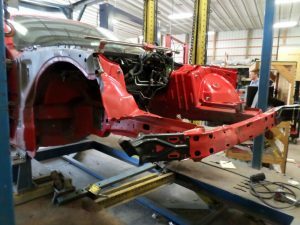 Now that the car was structurally sound and painted to match, she was taken off the frame machine to have the driveline, suspension and cooling components re installed. 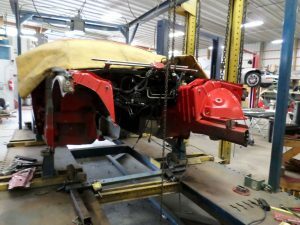 With the driveline installed, and the suspension bolted up and in place the car was ready to have the outside sheet metal hung on. 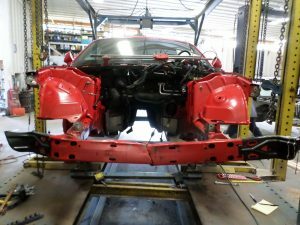 We used parts off on un-hit front end to finish this car. 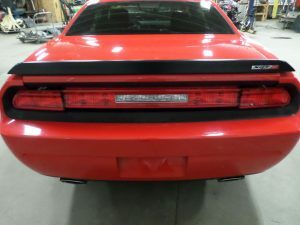 They were installed on the Challenger and the sent to paint. 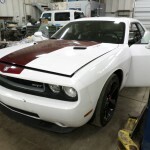 Here are some finished photos of the Challenger. 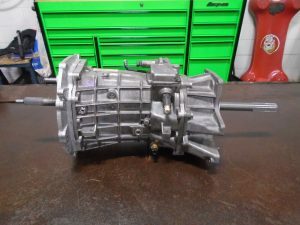 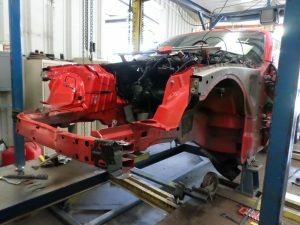 2010 Inferno Orange Chevrolet Camaro SS Rebuild Project – Part 3 – Finished & For Sale! 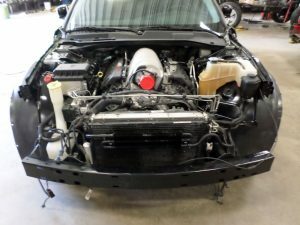 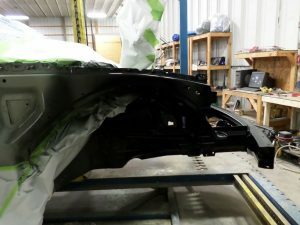 This final blog post will contain pictures of this Camaro SS getting all finished up, put back together, and pictures for sale! 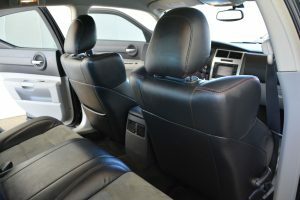 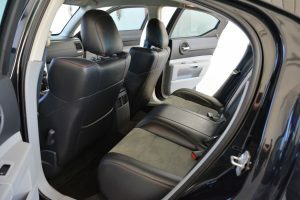 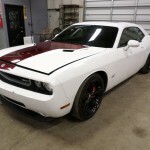 This vehicle will come with an Ohio Rebuilt title – which is eligible for most loans, and all full coverage insurance to the full clean title retail value. 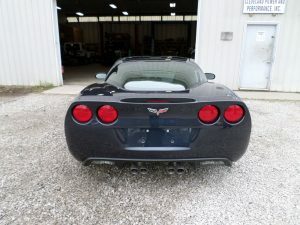 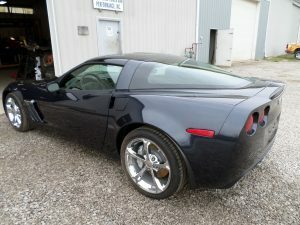 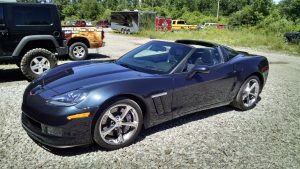 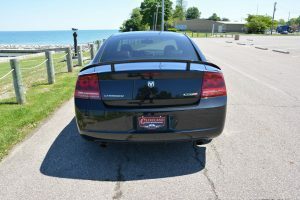 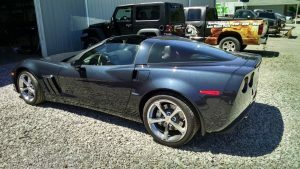 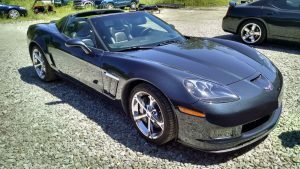 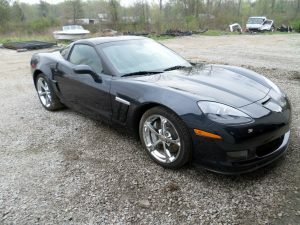 If you’ve been in the market for a 5th Gen Camaro SS, and want to save THOUSANDS over buying used, you can own this one ready to go for only $18,995! 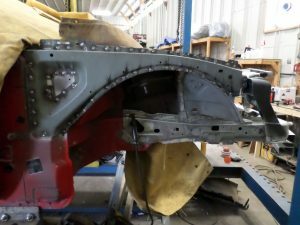 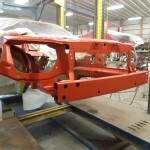 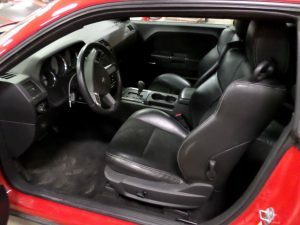 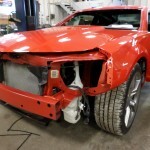 2010 Inferno Orange Chevrolet Camaro SS Rebuild Project – Part 2! 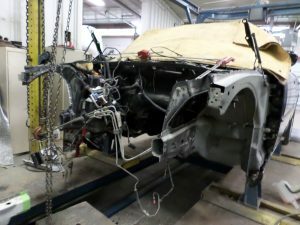 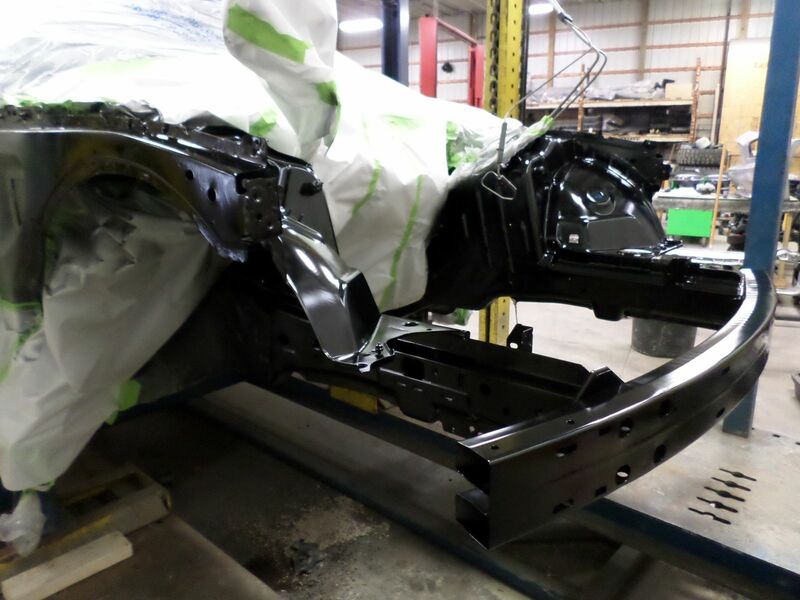 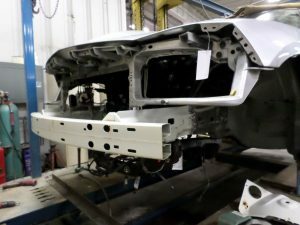 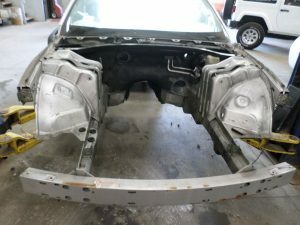 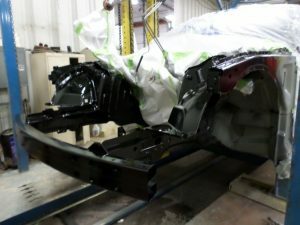 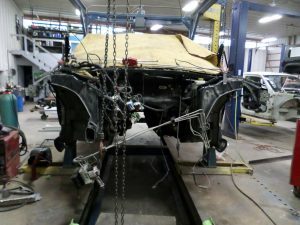 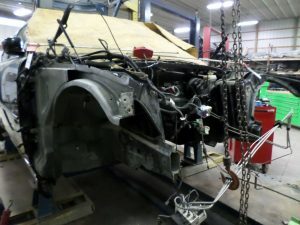 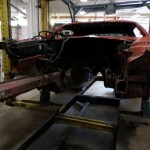 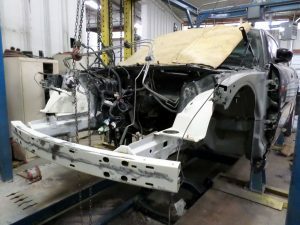 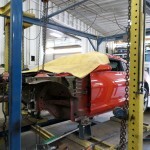 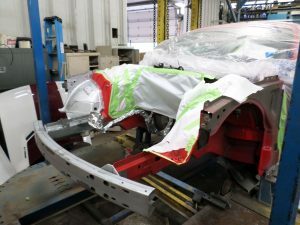 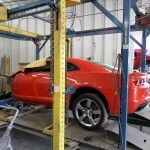 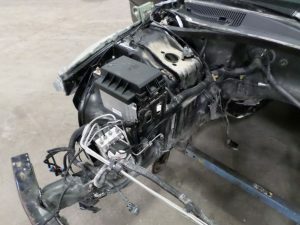 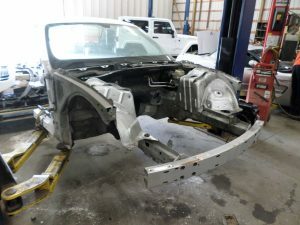 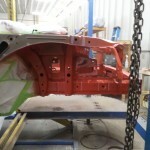 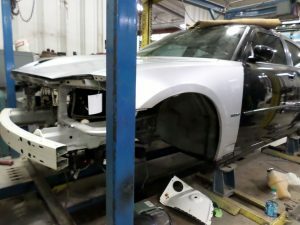 This blog will contain pictures of this Camaro SS on the frame machine, getting stripped down, fixed, and painted. 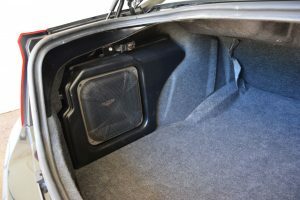 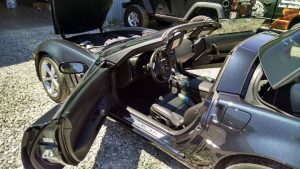 If you’ve been in the market for a 5th Gen Camaro SS, and want to save THOUSANDS over buying used, be sure to contact us if interested! 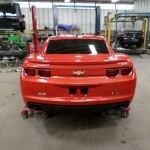 We will be releasing the pricing and post the finished product on our website in the next few days! 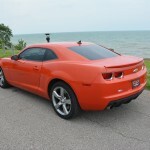 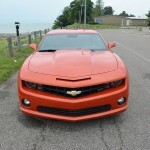 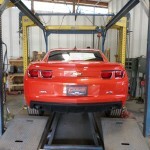 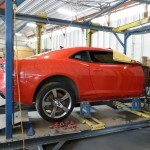 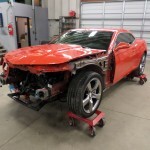 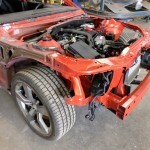 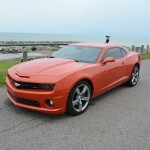 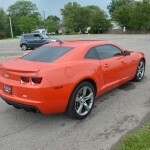 2010 Inferno Orange Chevrolet Camaro SS Rebuild Project! 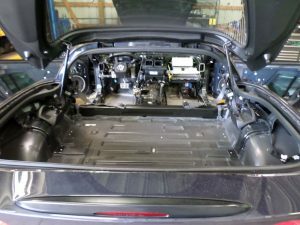 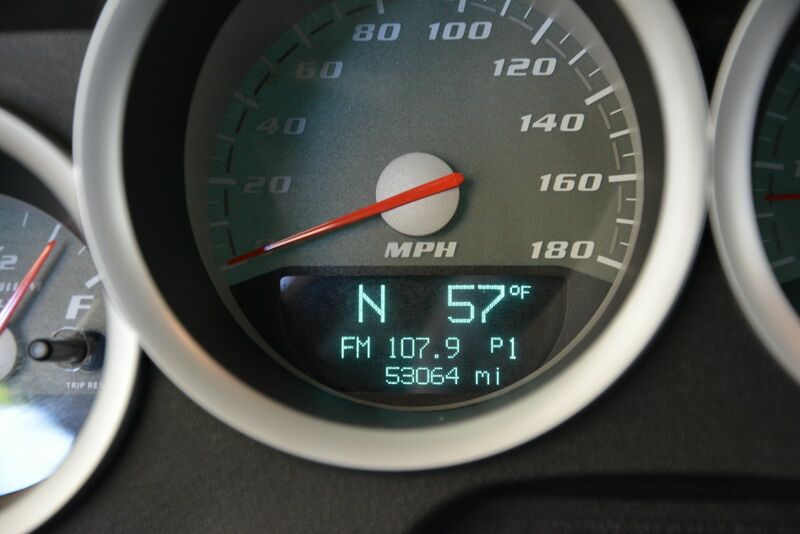 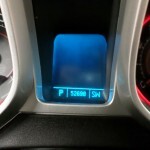 We got in a light front hit 2010 Camaro SS Automatic with only 52,000 miles. 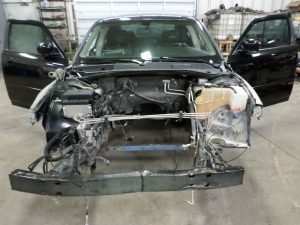 We are fixing this one all the way out, and will sell it for thousands less than buying new! 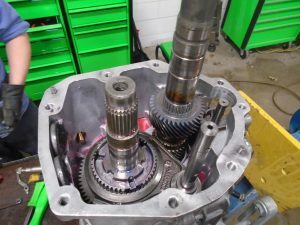 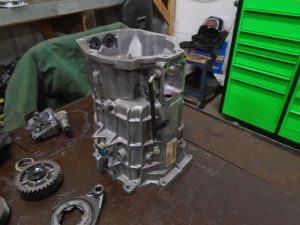 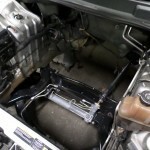 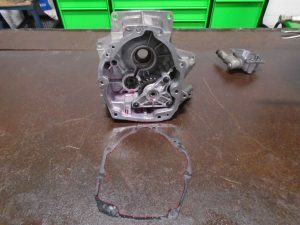 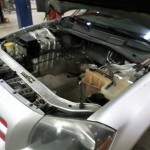 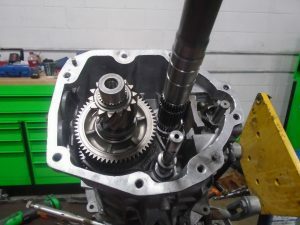 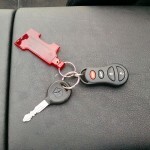 This blog will contain pictures of us breaking the car down, repairing the issues, and starting to put it back together. 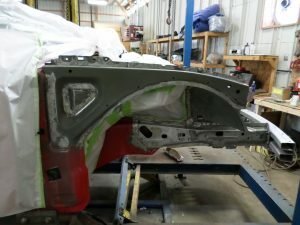 Stay tuned for part two, which will contain the end of the repair, and the finished pictures. 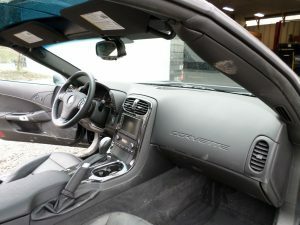 If you’ve been in the market for a 5th Gen Camaro SS, and want to save THOUSANDS over buying used, be sure to contact us if interested! 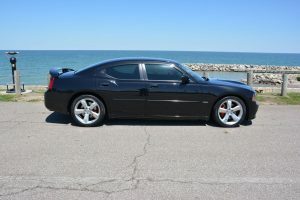 We will be releasing the pricing and post the eBay auction when it is live! 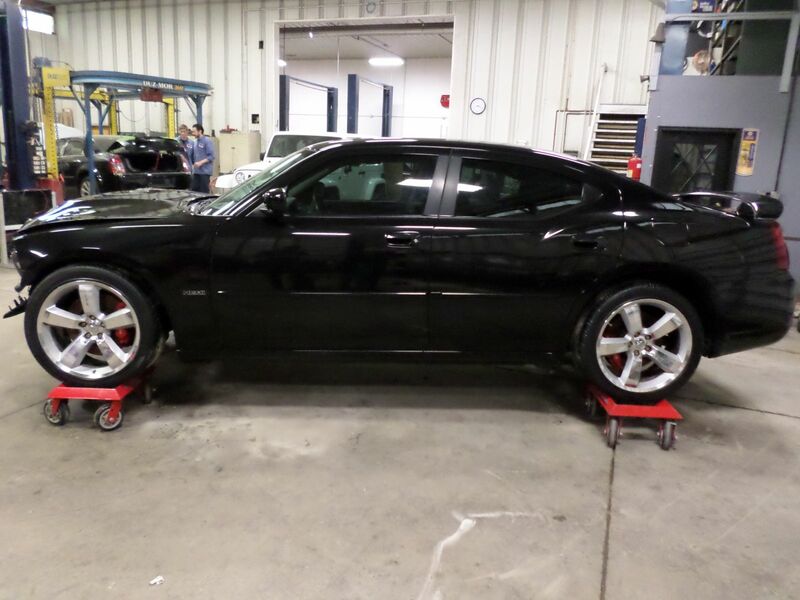 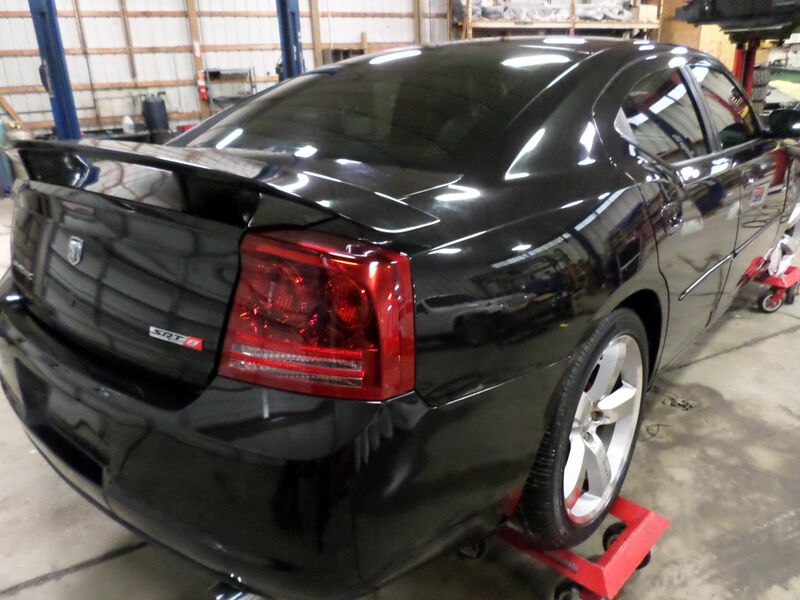 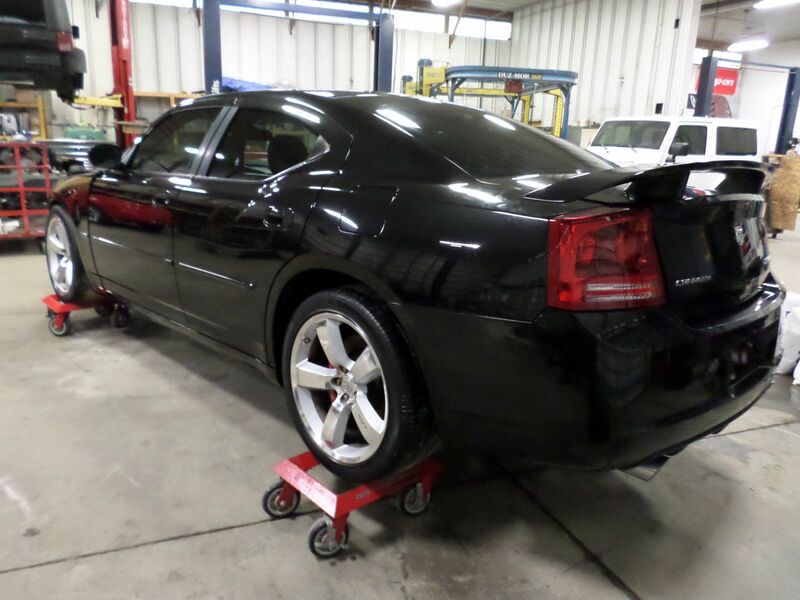 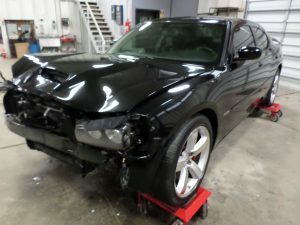 Salvage 2007 Dodge Charger SRT-8 6.1L Rebuild from start to finish! 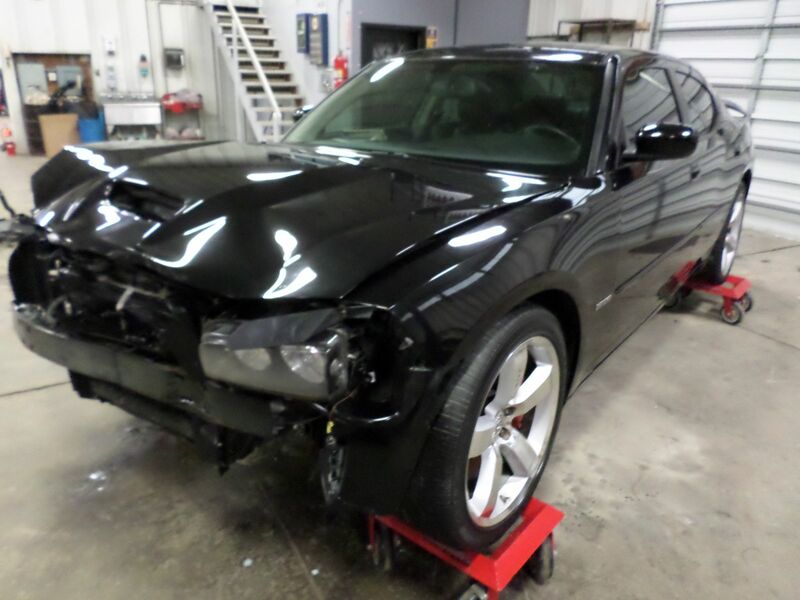 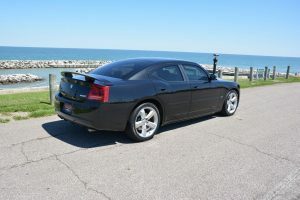 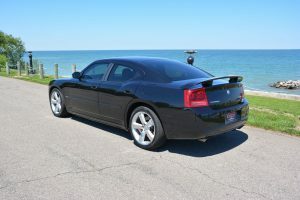 We received this Salvage titled 2007 Dodge Charger SRT-8 with front end damage and only 52k actual miles. Upon further inspection, it appeared to be in very good condition, and we had most of the parts to fix it here. 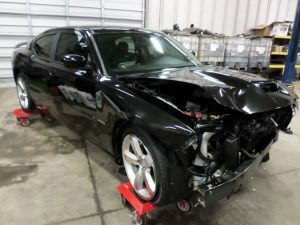 We will be replacing the damaged parts on this car and offering it for sale, completely finished. 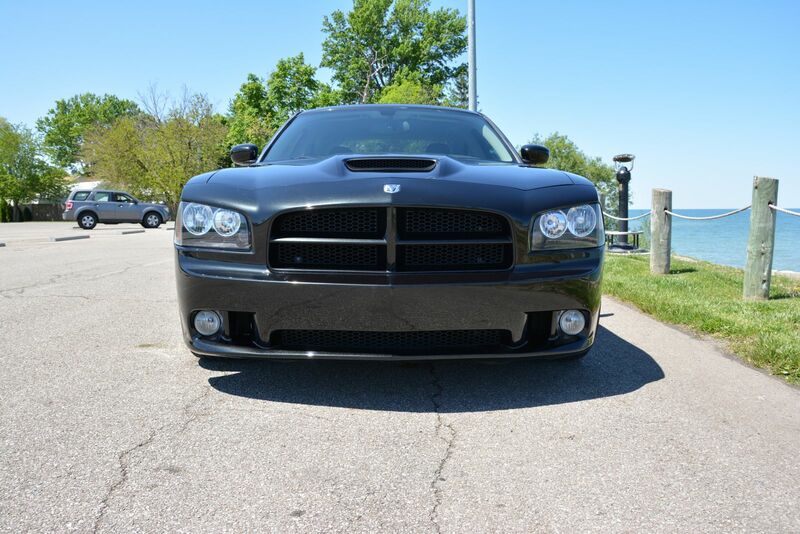 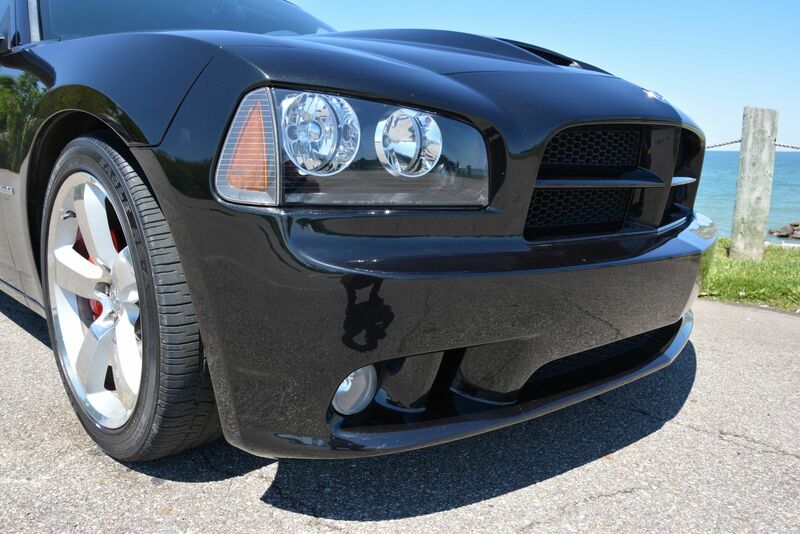 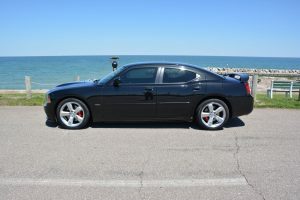 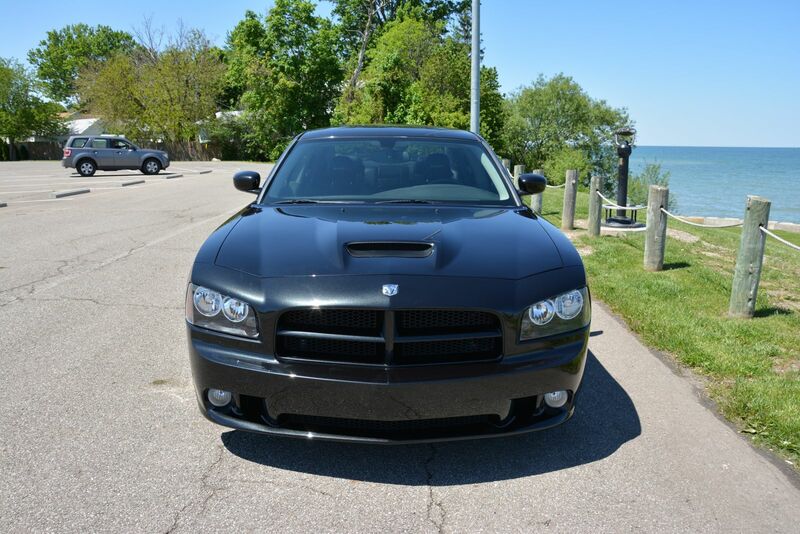 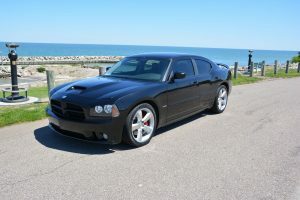 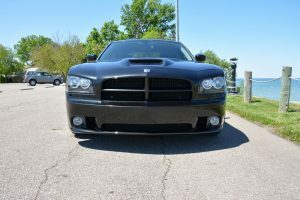 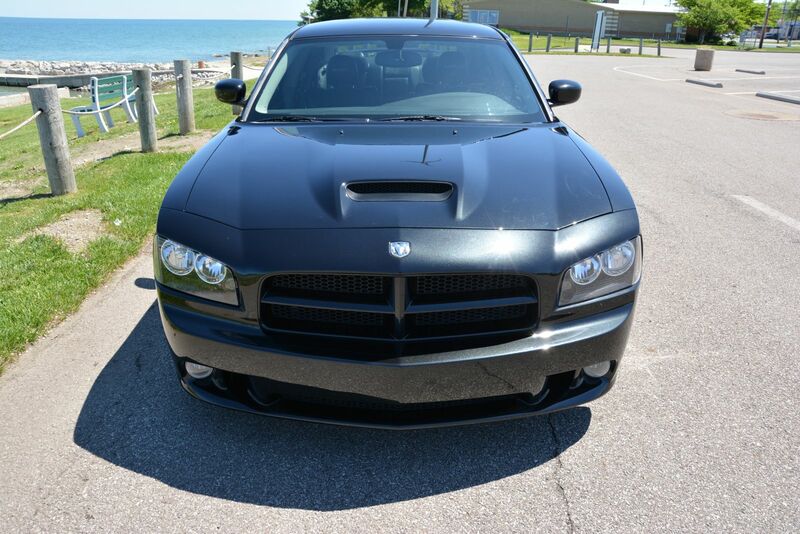 This Charger SRT-8 is going to be a great opportunity for someone to save thousands over buying used. 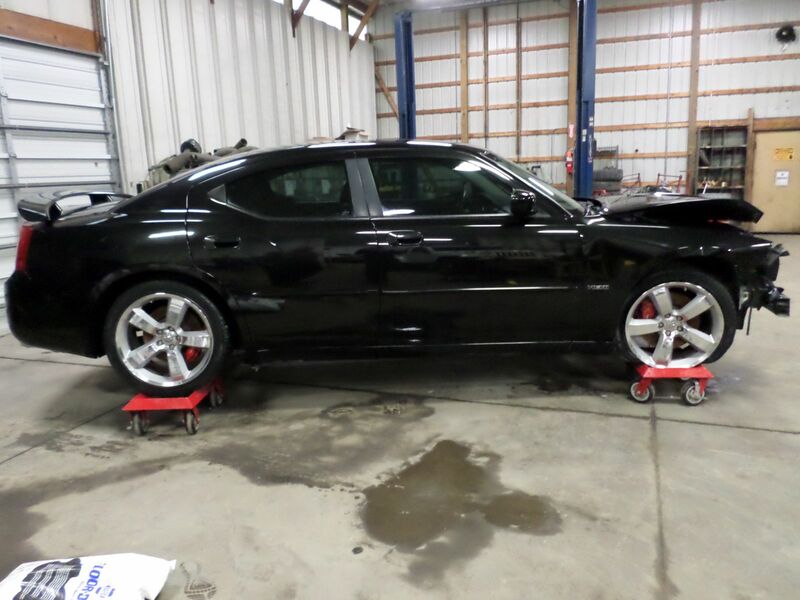 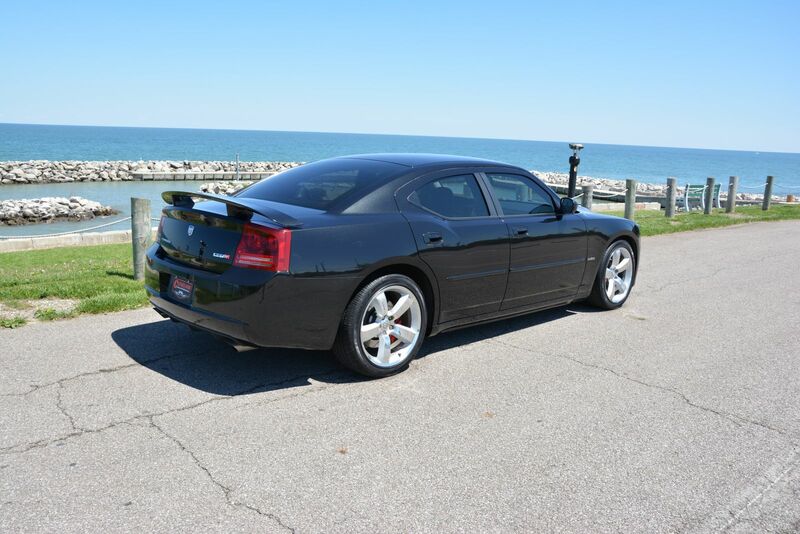 This Charger features the 6.1L V8 engine, automatic transmission, leather interior, navigation, Brembo Brakes, and much more. We will be fully inspecting the vehicle, and taking it through State Inspection to get a rebuilt title for the next owner. 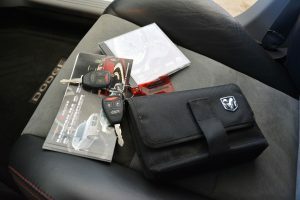 Here are some photos showing the Charger as we received it. 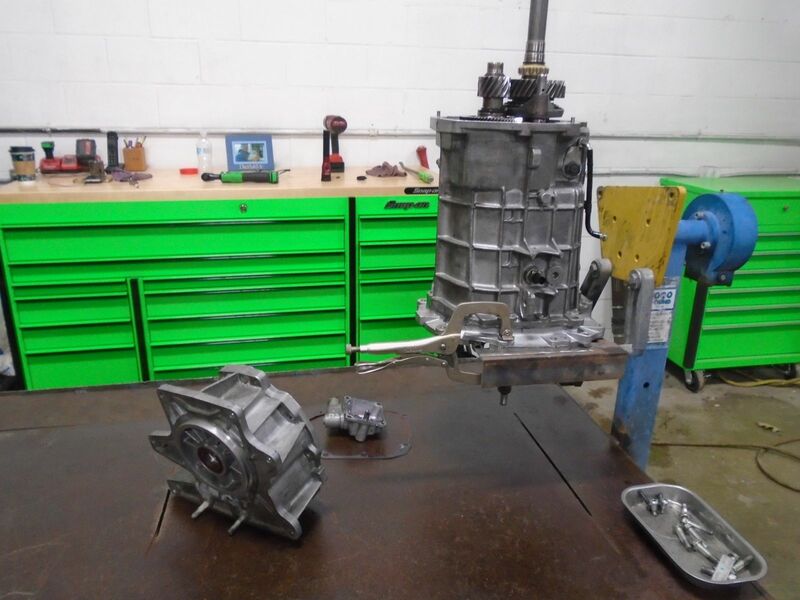 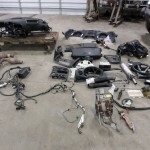 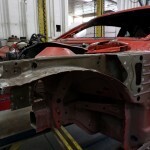 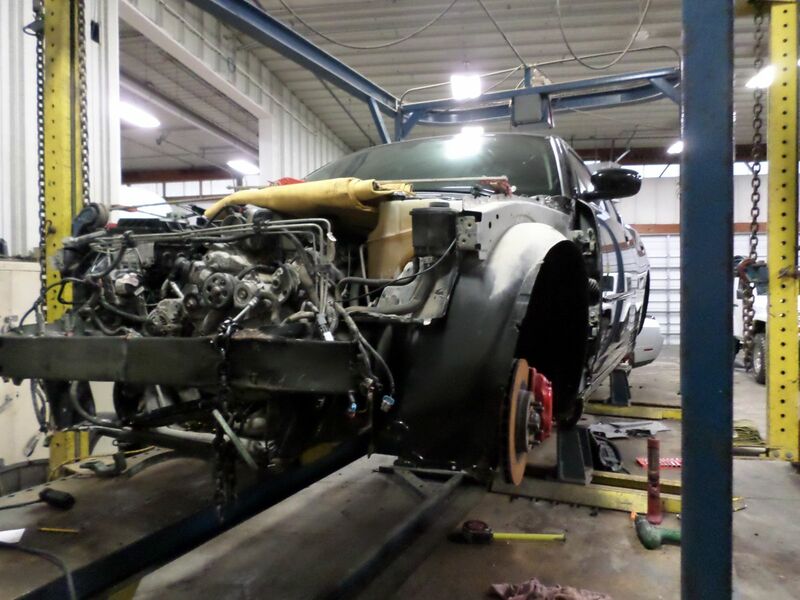 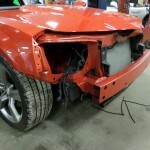 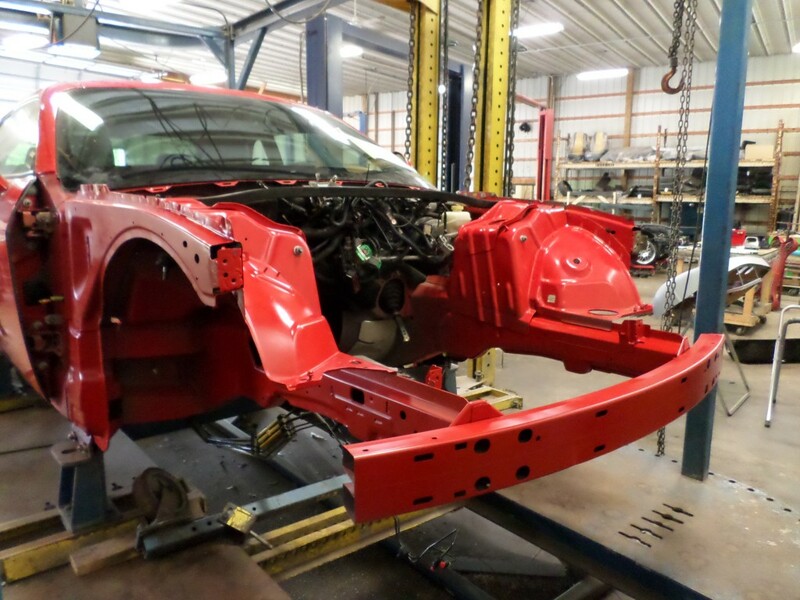 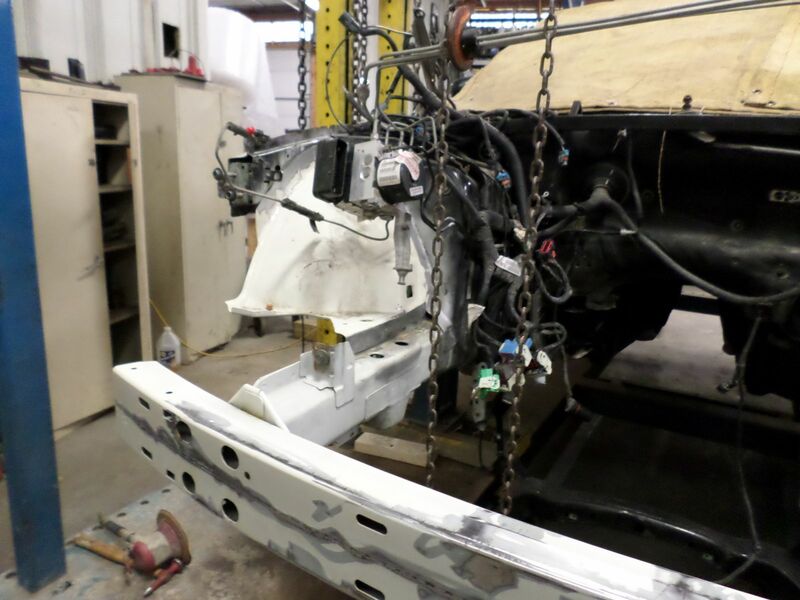 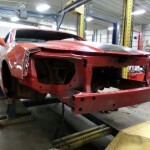 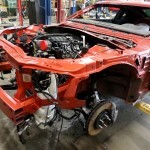 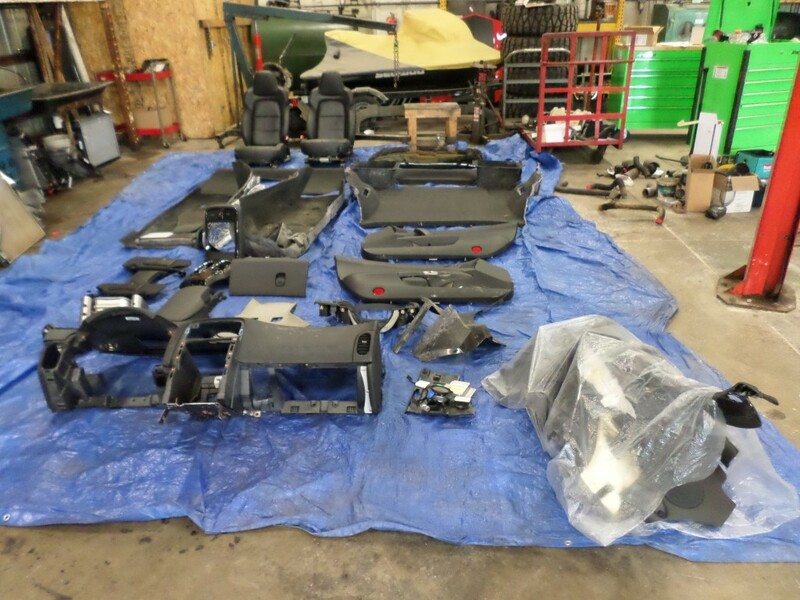 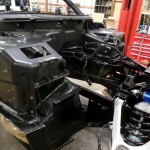 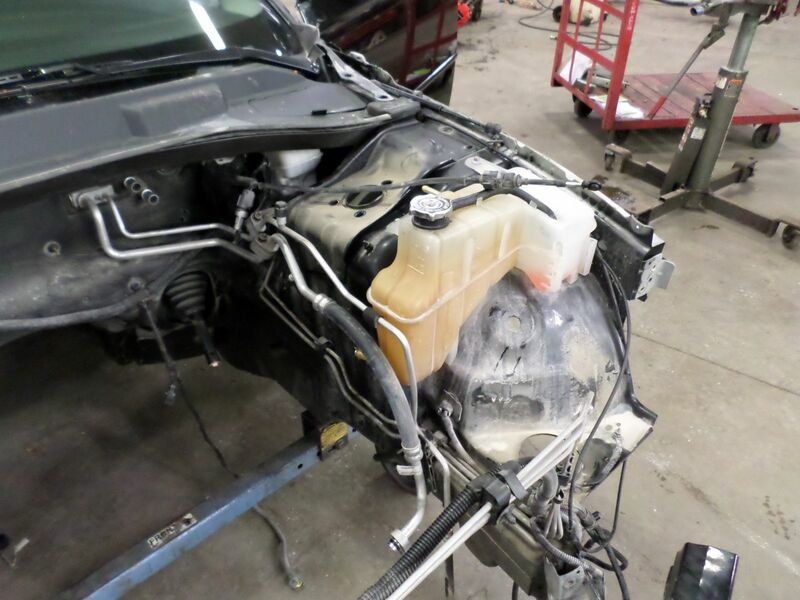 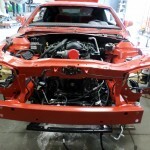 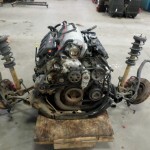 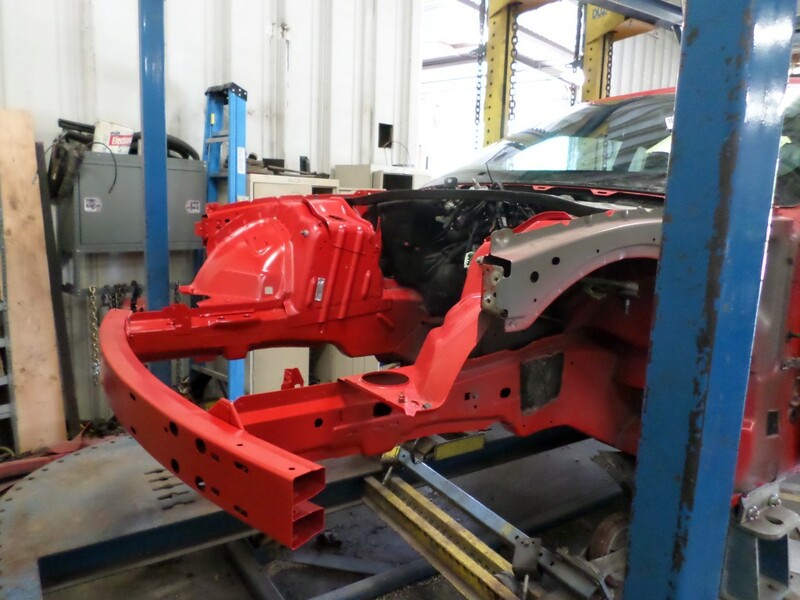 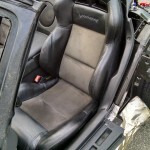 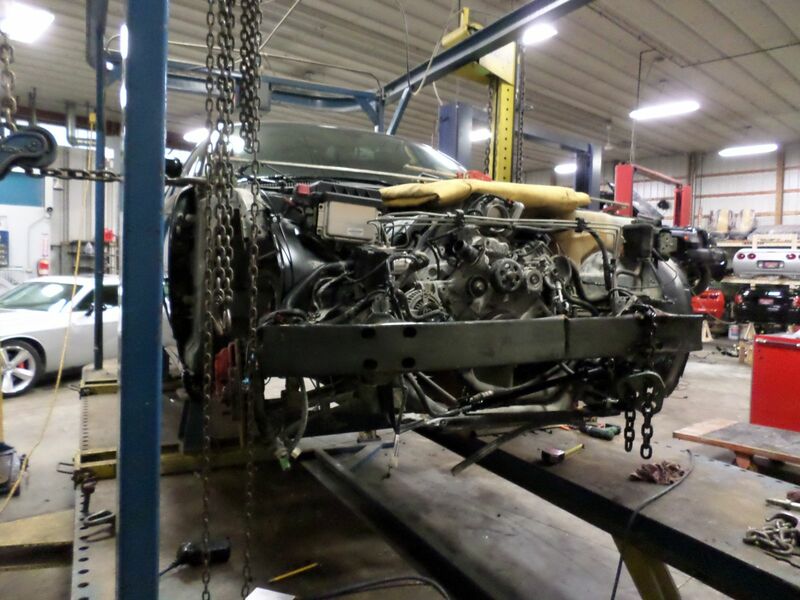 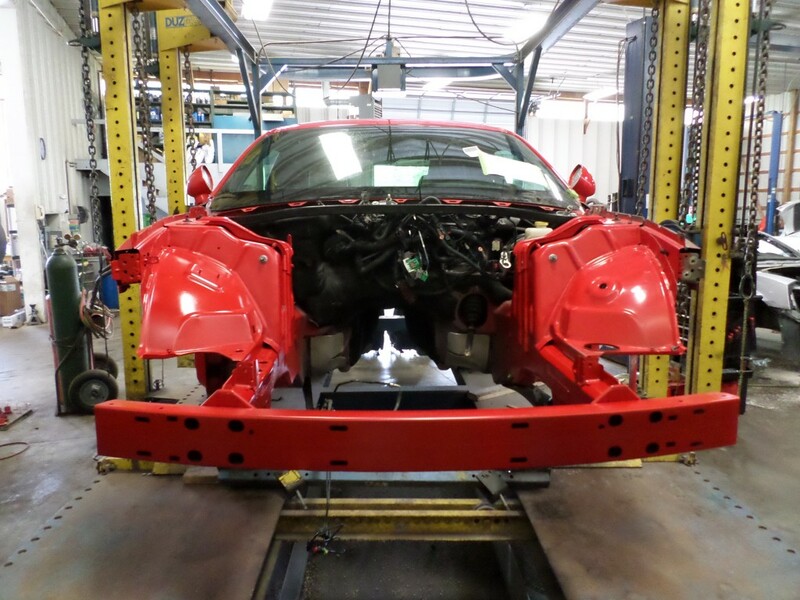 Follow this blog to see this Salvage Dodge Challenger SRT-8 6.1L Rebuild from start to finish! 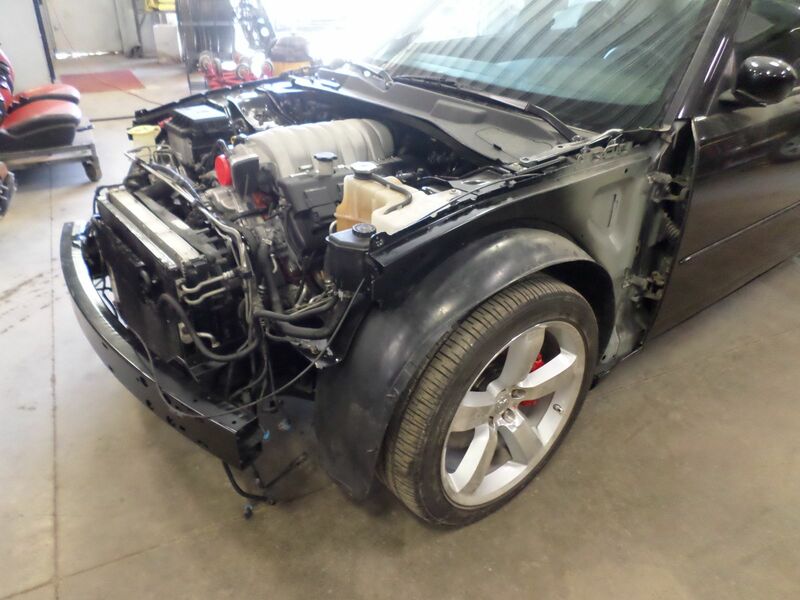 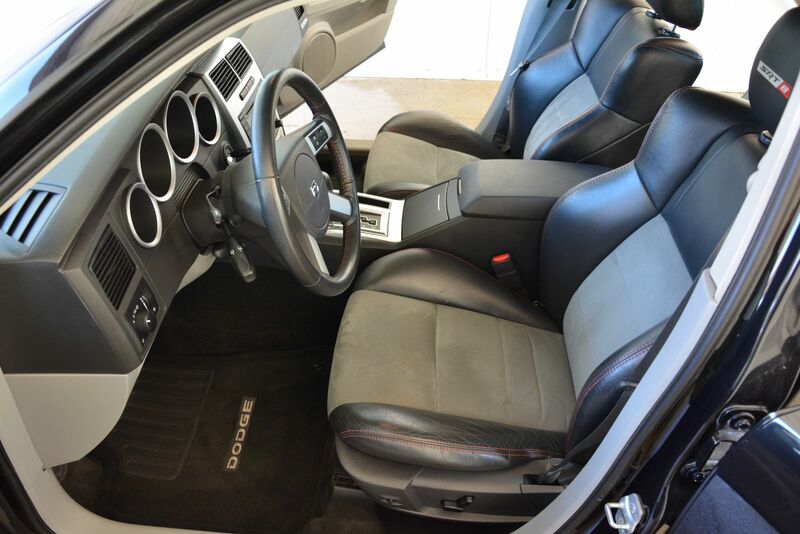 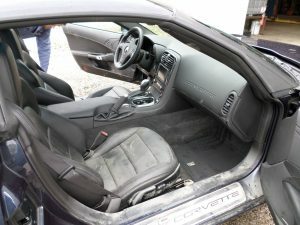 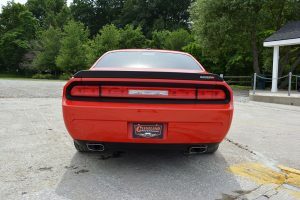 We received this Salvage titled 2009 Dodge Challenger SRT-8 with light rear end damage and light interior fire damage. 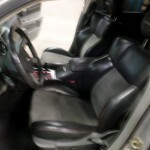 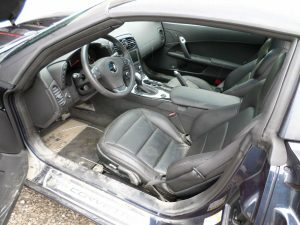 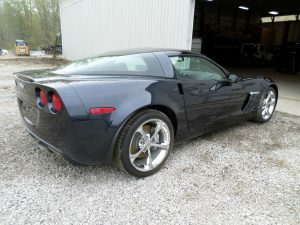 We will be replacing the damaged interior parts on this car and offering it for sale. 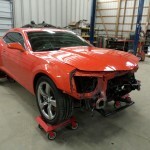 This Challenger would be the perfect candidate for a custom build or to repair your wrecked challenger. 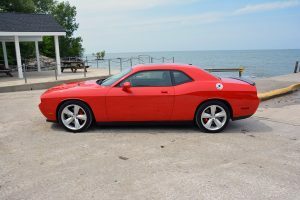 This Challenger features the 6.1l engine, automatic transmission, leather interior, navigation, Brembo Brakes, and much more. 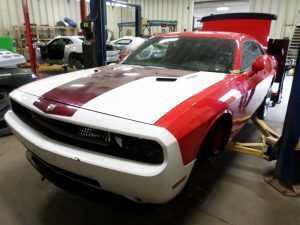 We have seen our Challenger donor vehicles used in many very unique custom builds, from Classic Plymouth wagons to the iconic Challengers of the seventies. 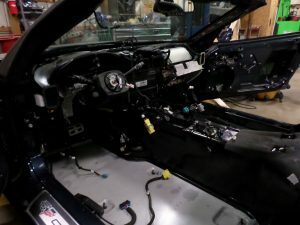 Our donors have also provided all of the interior, driveline, and electronics on heavy fire and flood damaged Challengers. 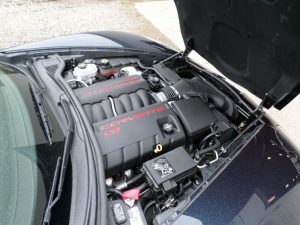 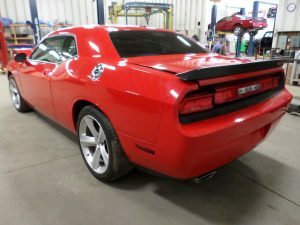 Here are some photos showing the Challenger as we received it. 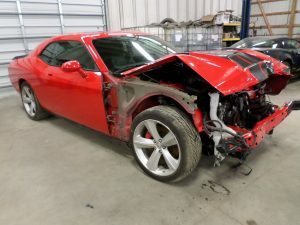 As you can see from the pictures, this challenger suffered no front end damage, and most of the interior was untouched by the rear contained fire. 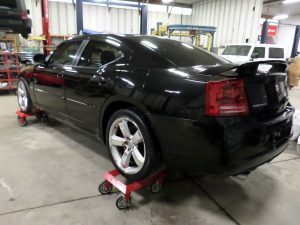 The vehicle did get hit in the rear, which pushed the trunk pan in a bit. 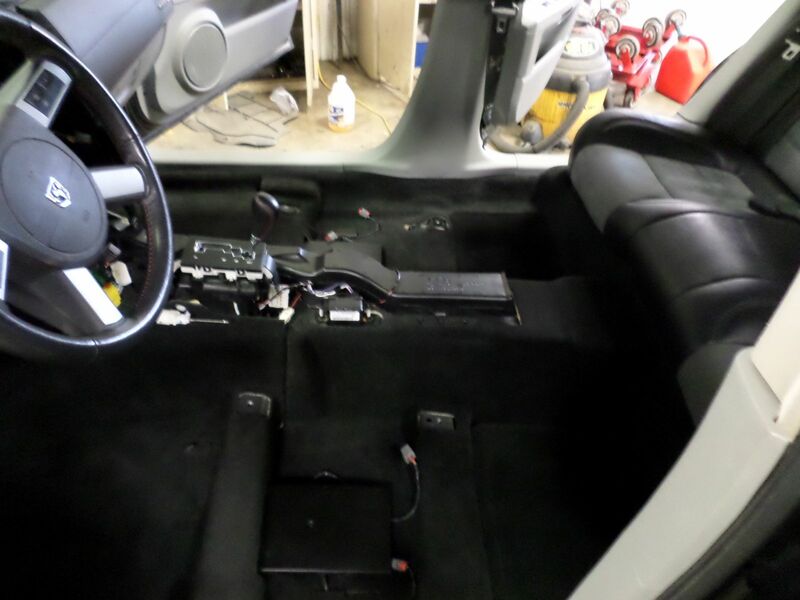 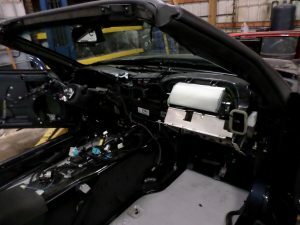 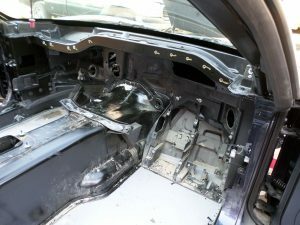 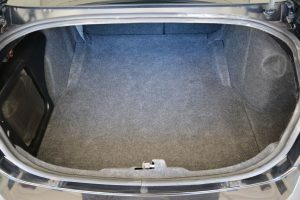 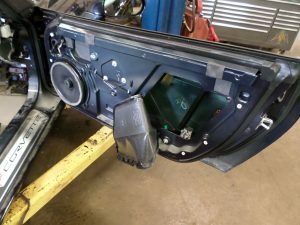 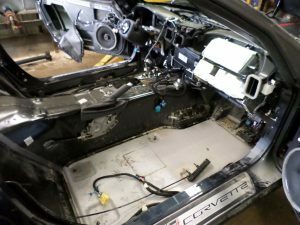 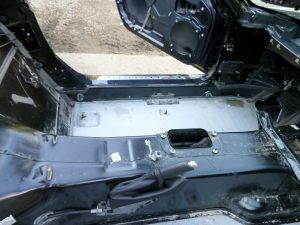 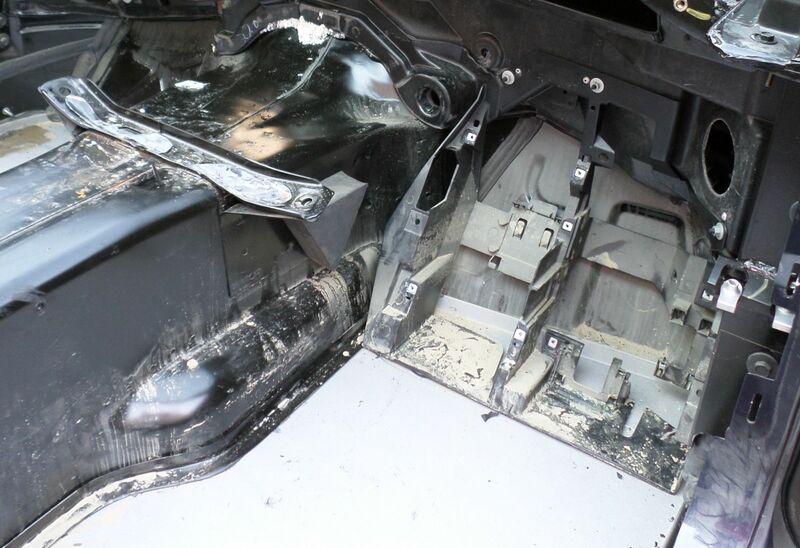 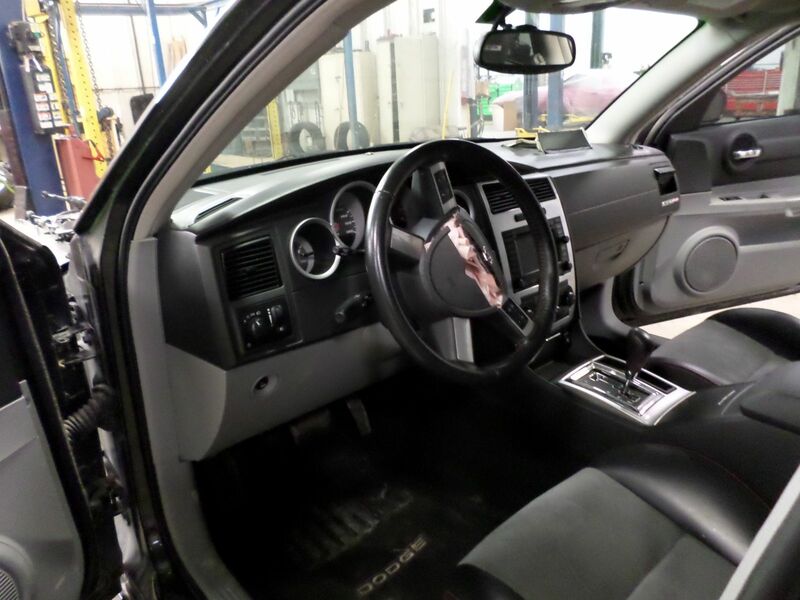 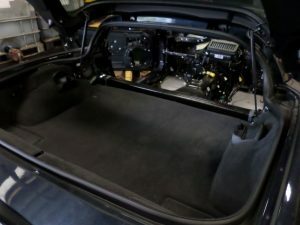 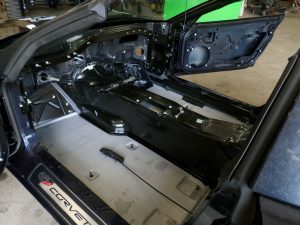 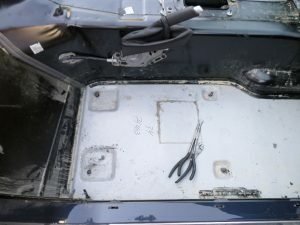 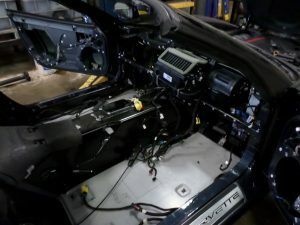 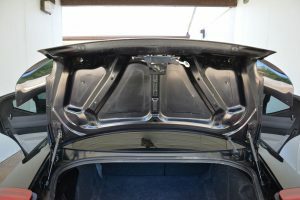 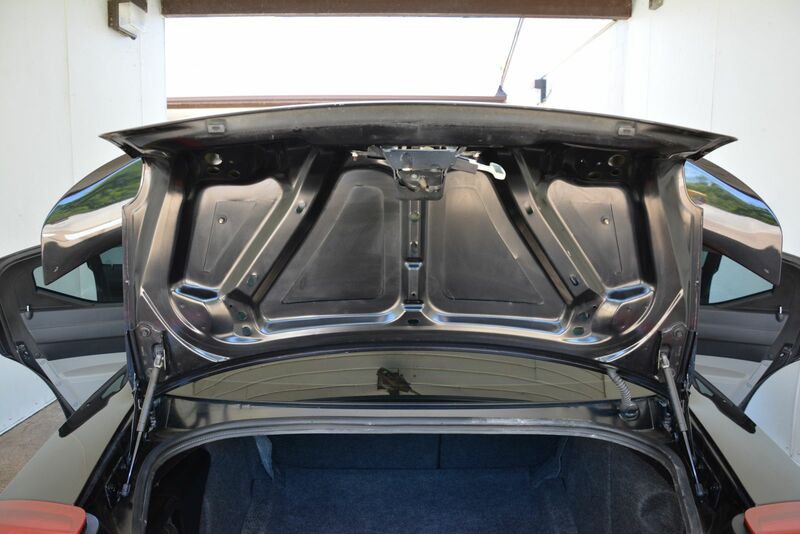 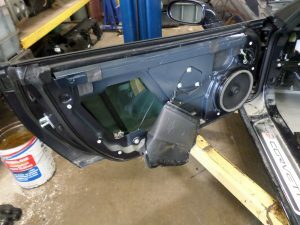 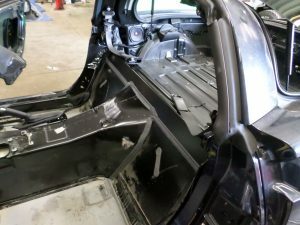 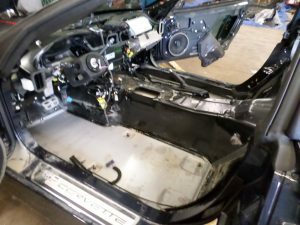 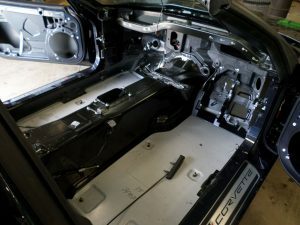 We started this rebuild by removing all of the interior, which will allow us to thoroughly clean the trunk and floor pans, as well as inspect the interior for other damage. 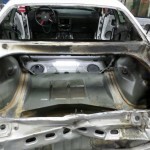 We will continue the build by thoroughly cleaning the floor and trunk pans to eliminate and odors caused by the burn. 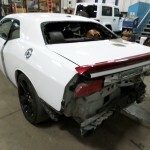 We will also replace several other parts on the challenger that need to be replaced, then test drive the Challenger and ultimately offer it for sale. 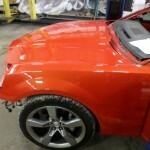 Stay tuned to our blog to see the finished product. 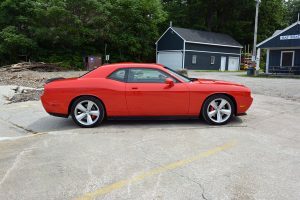 If you are interested in this Dodge Challenger, please give us a call at 866-236-5031 to discuss. 2006 Dodge Magnum SRT-8 Clean Title getting overhauled! 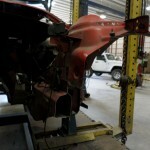 Follow this blog to see our Magnum build from start to finish! 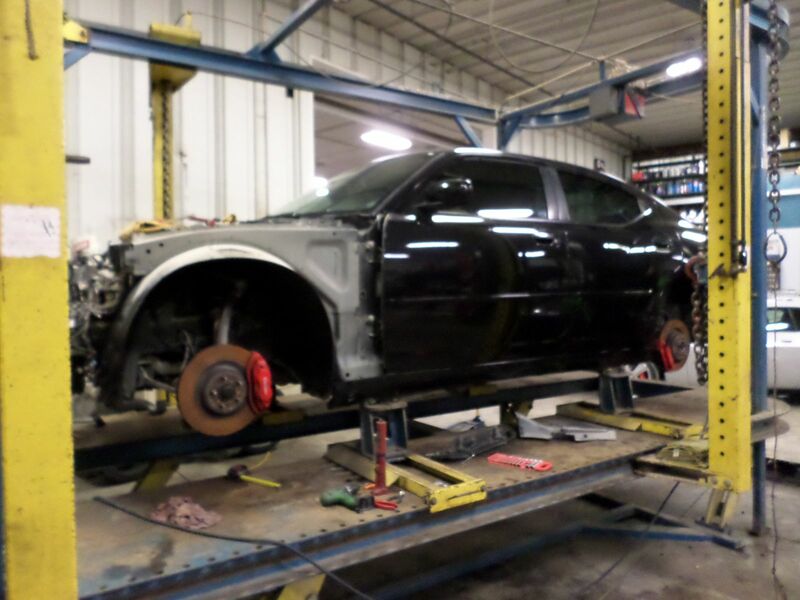 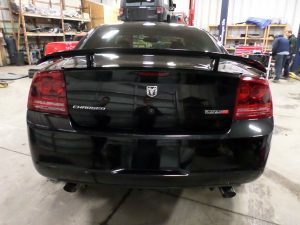 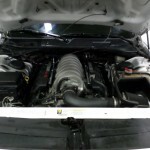 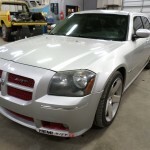 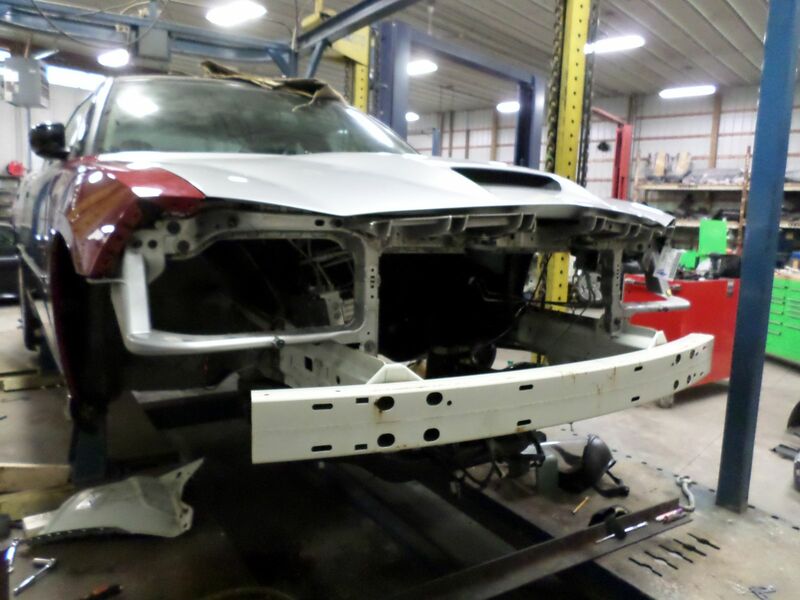 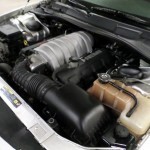 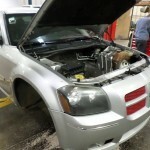 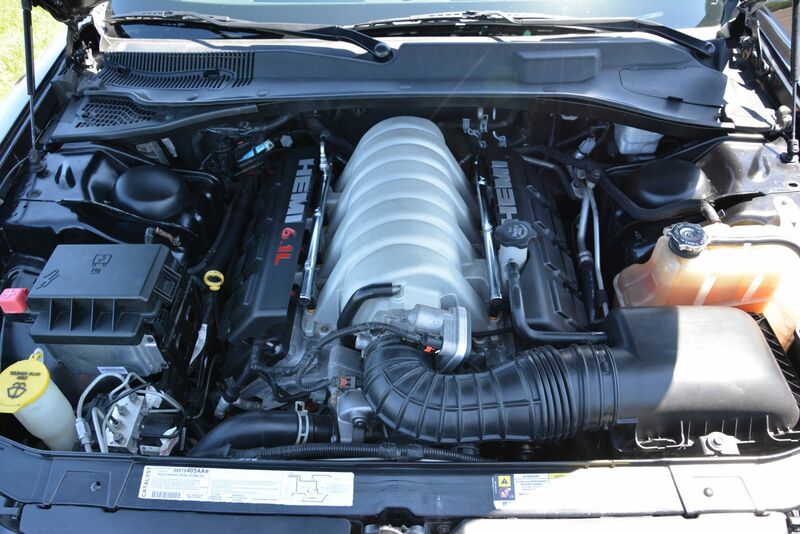 Follow this blog to see this 2006 Dodge Magnum SRT-8 Clean Title getting overhauled! 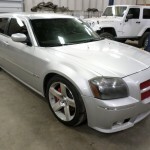 We had the opportunity to purchase this 2006 Dodge Magnum SRT-8 with a clean title from a repo auction. 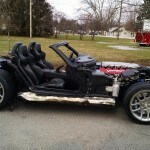 This Magnum arrived to us with a blown motor, but it will be getting overhauled and put up for sale. 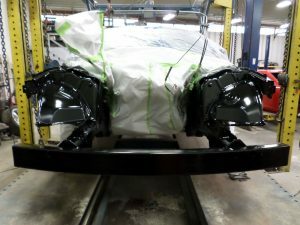 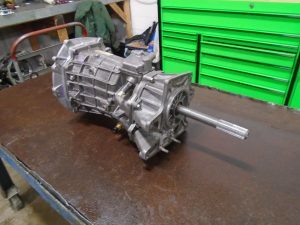 Follow this blog to see the build from start to finish, and eventually see this clean title Magnum finished and offered for sale. 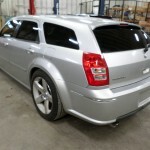 The dodge Magnum has proven to be one of the rarest and most coveted of the SRT brand. 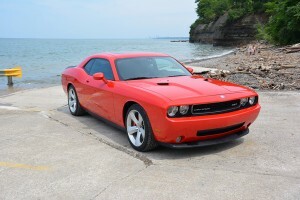 These vehicles seem to have developed a cult following since the end of production nearly 10 years ago. 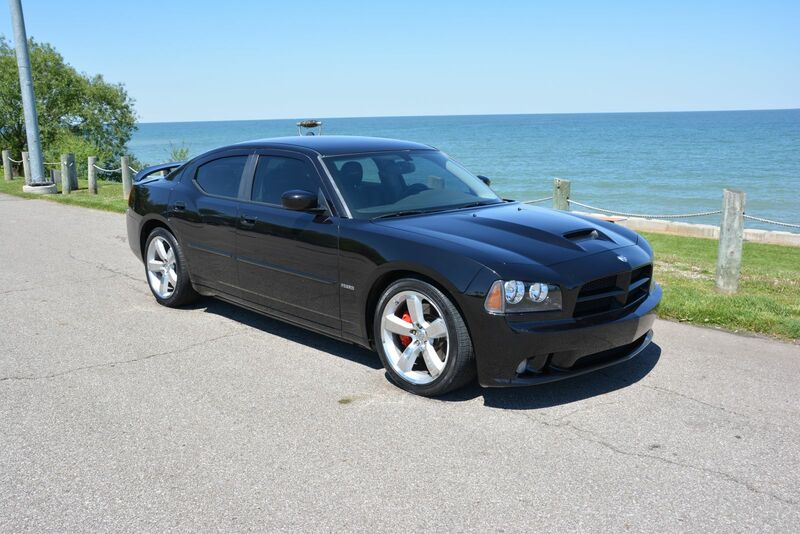 We have had the opportunity to offer a few of these Magnums for sale, but this maybe the nicest and cleanest example to date. 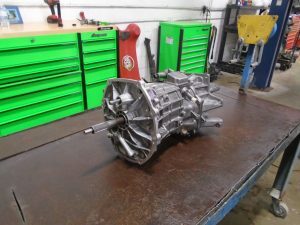 Here are some photos showing the magnum as we received it. 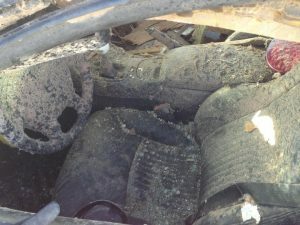 As you can see, it has was not involved in a collision, fire, flood, or any total loss. It arrived to us with a blown engine. 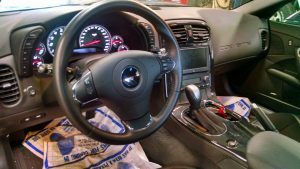 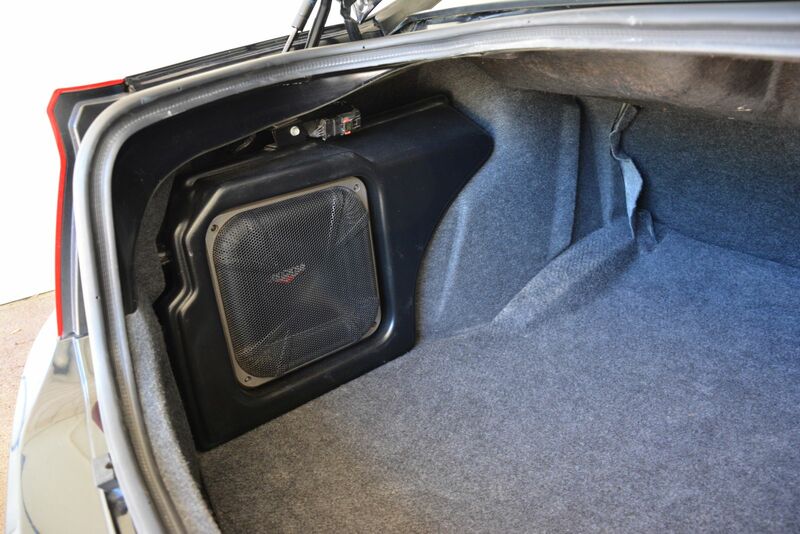 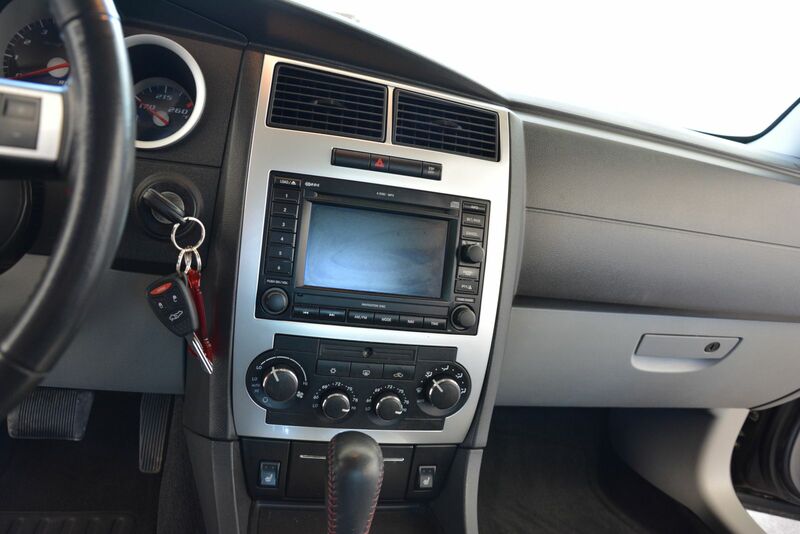 The exterior, interior, and all electronic functions are in good shape and fully functional. 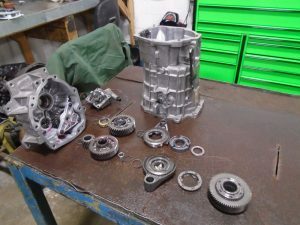 However, it the engine did not run, so we removed it for inspection. We will be carefully looking over and inspecting all of the drive line, suspension, and power functions of this Magnum and we will repair whatever needs fixed. The engine was removed and sent to our engine room for inspection. 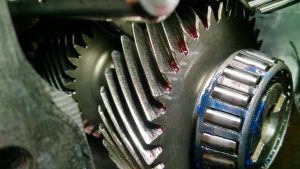 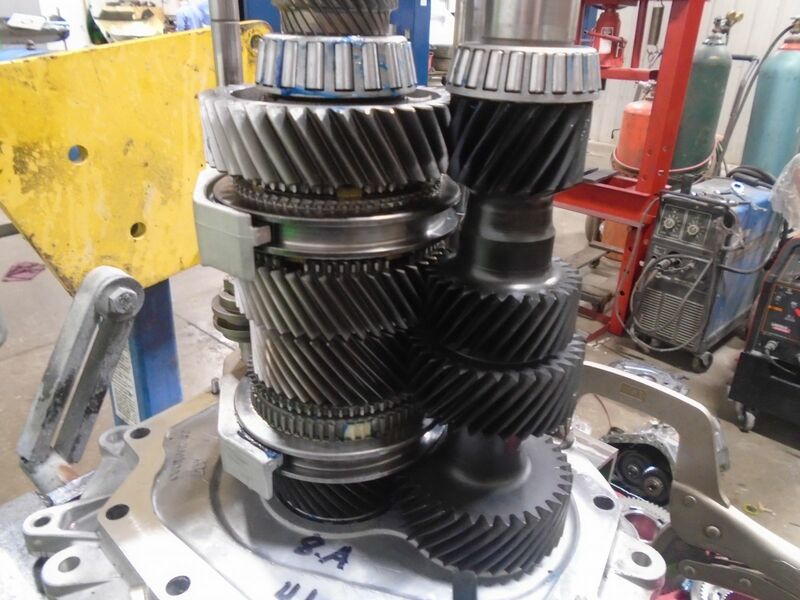 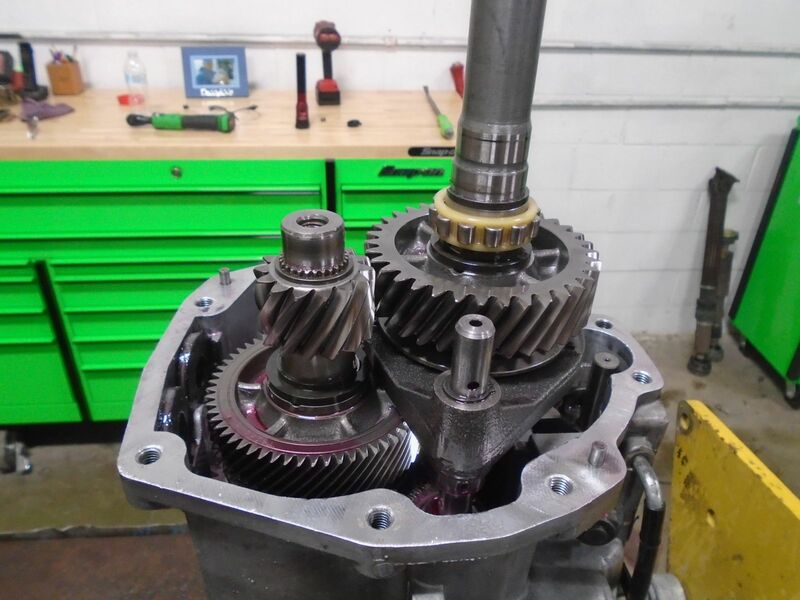 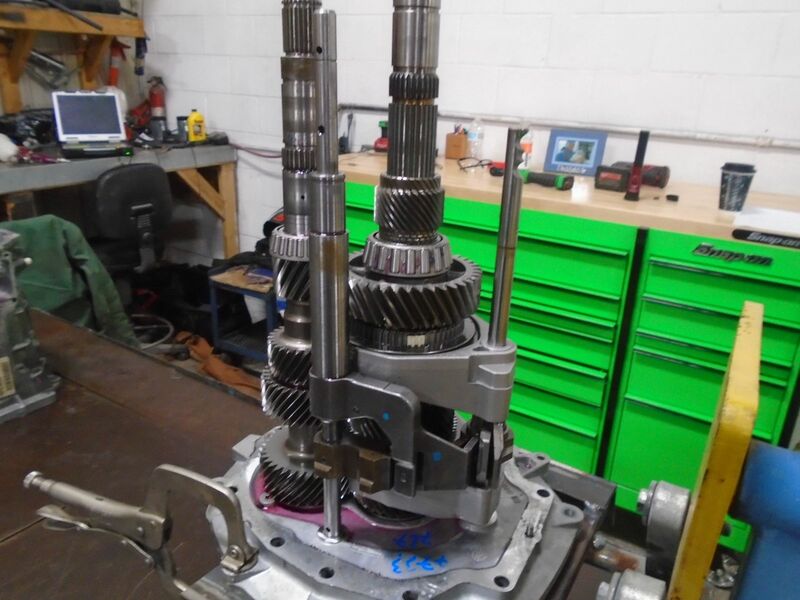 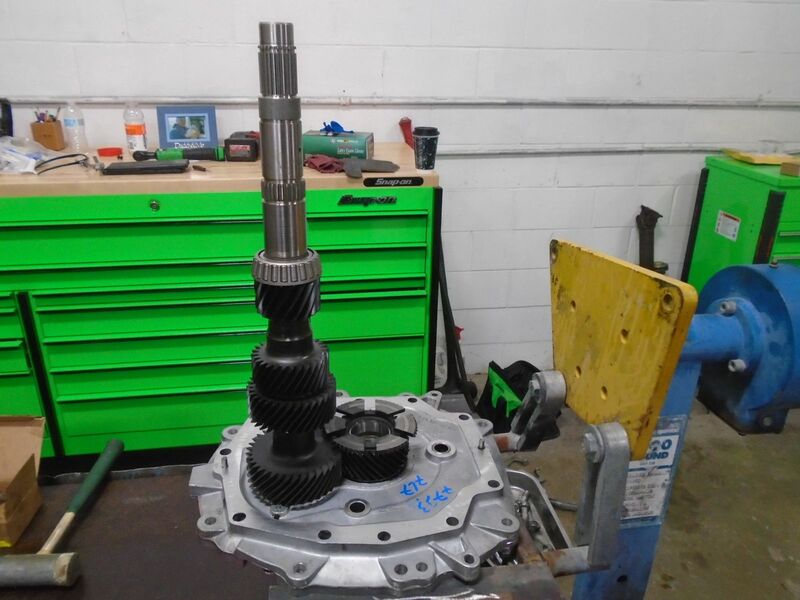 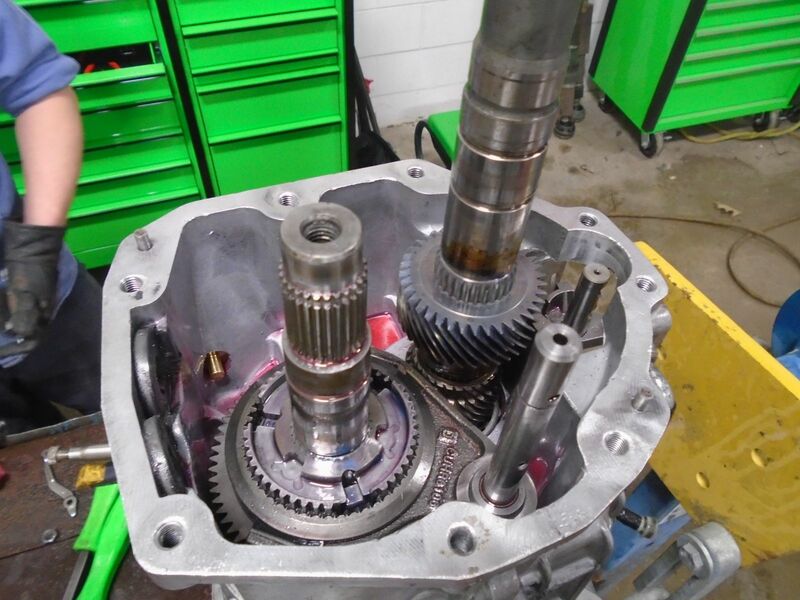 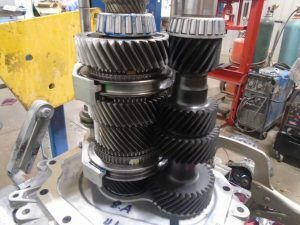 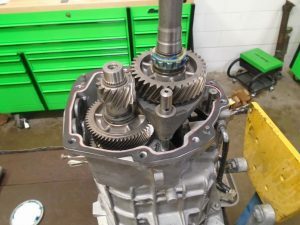 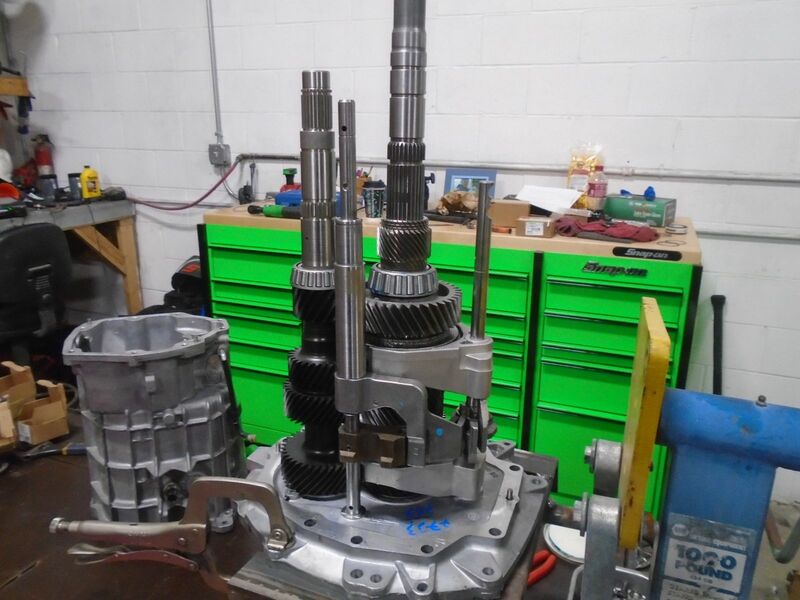 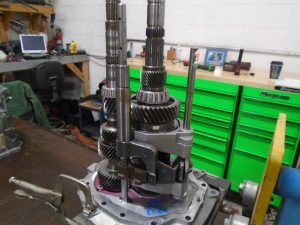 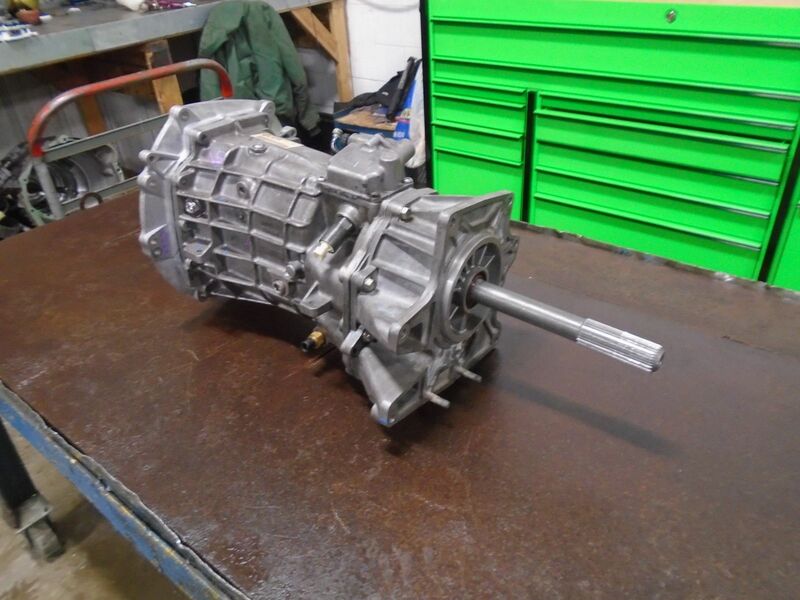 We also had the transmission gone through and inspected to insure that it had no issues. 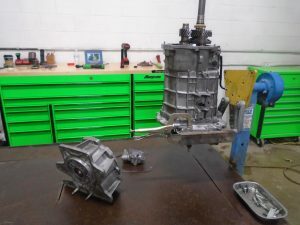 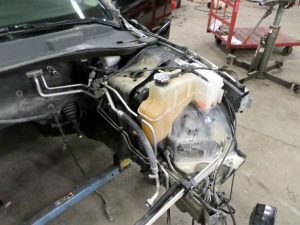 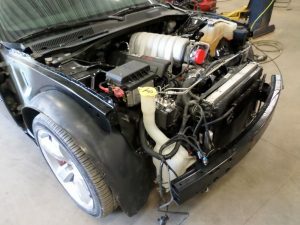 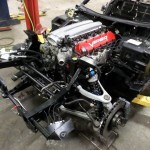 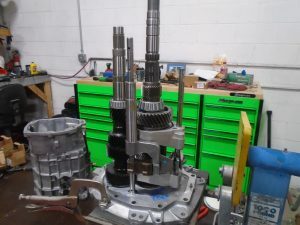 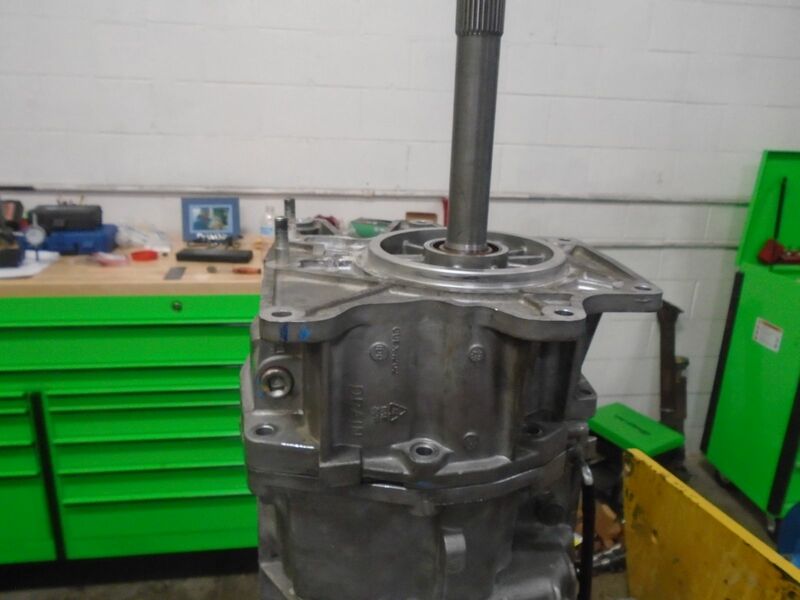 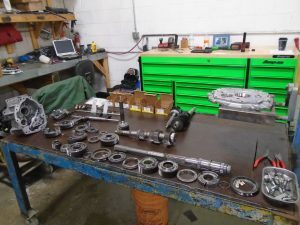 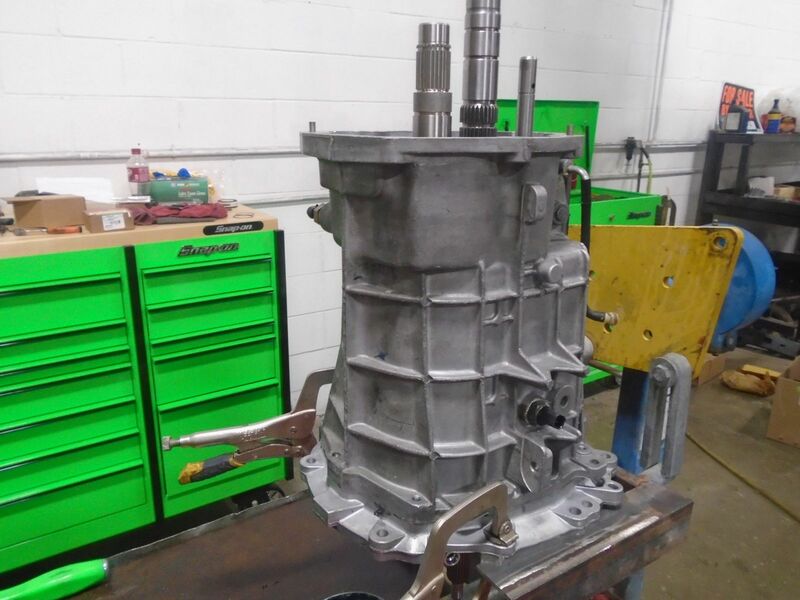 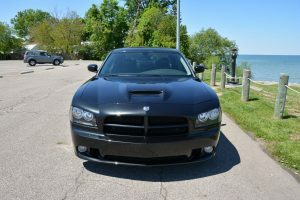 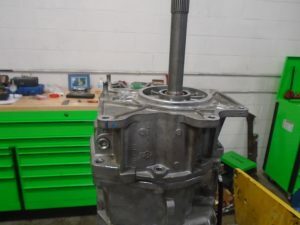 Please stay tuned to this blog to follow the engine overhaul and completion of this Dodge Magnum SRT-8 clean title rebuild. 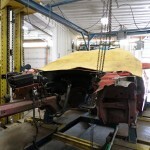 Once this vehicle is done being rebuilt, and we have put a good amount of test miles on it, she will be offered for sale. 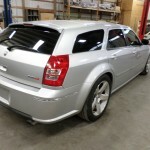 Please feel free to give us a call at 866-236-5031 with any questions or to discuss pricing on this awesome 425hp wagon! 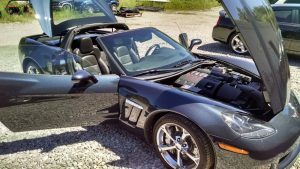 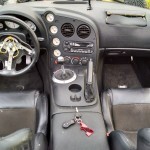 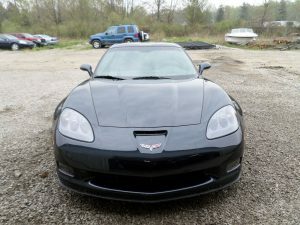 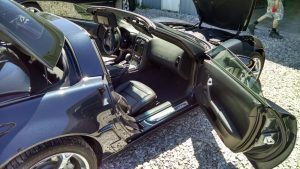 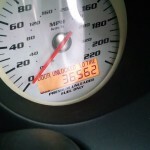 2003 Dodge Viper Salvage Donor Ready for sale! 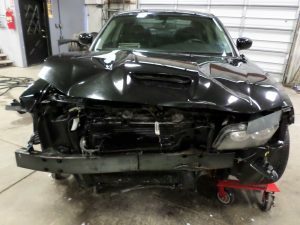 Our 2003 Dodge Viper Salvage Donor is done being repaired and is available for sale. To see the first stages of this build, please see the post below. 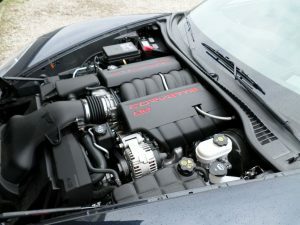 We received this Viper with a light under hood fire and have since repaired all necessary components. 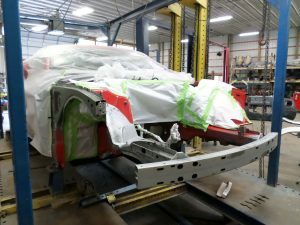 In our last post, we showed the first phase of the rebuild including the tear down and first half of the repair process. 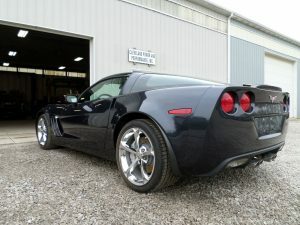 We have since reassembled the vehicle, performed the final repairs, test drove it and now shes ready for sale. 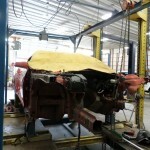 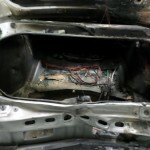 In our last blog entry on this car, we left off with a bare shell. 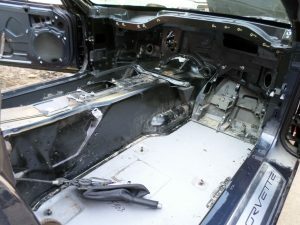 Here is what we did since. We put the interior and drive line back in the car and replaced all of the parts that were damaged. 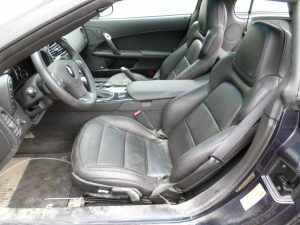 The outer cowl, harness, computer, dash, drivers seat leather, and left hand front suspension, were all replaced. 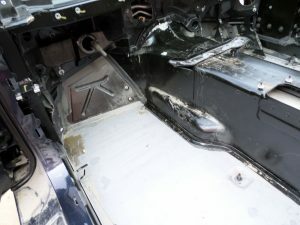 The cooling has been installed, and the vehicle has been test driven. 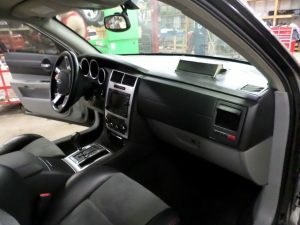 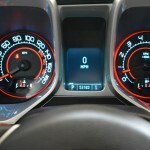 Complete OEM dash, digital speedometer, radio, heater controls, and everything as pictured. 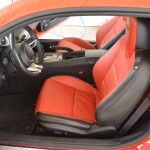 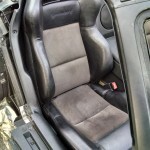 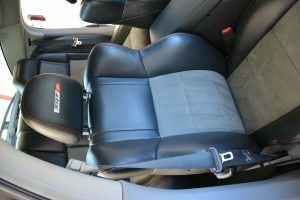 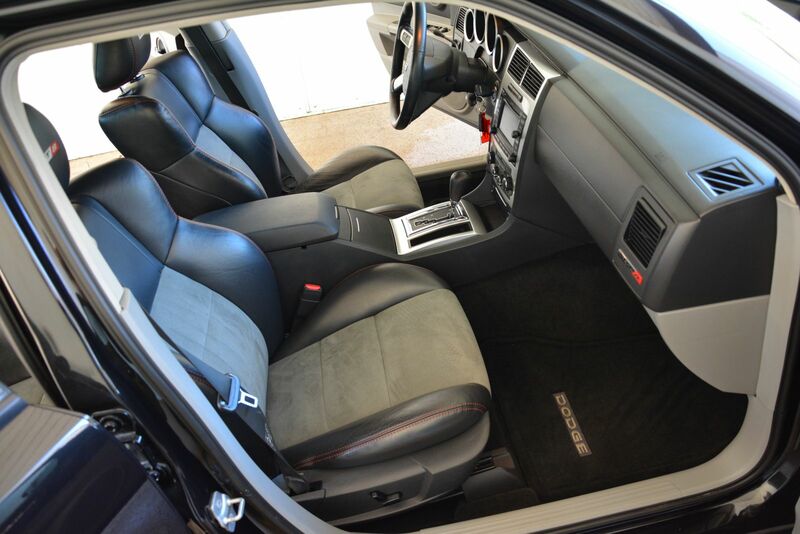 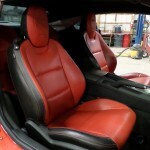 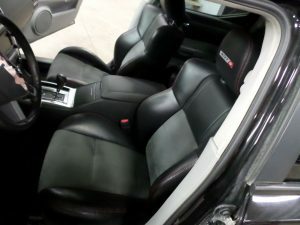 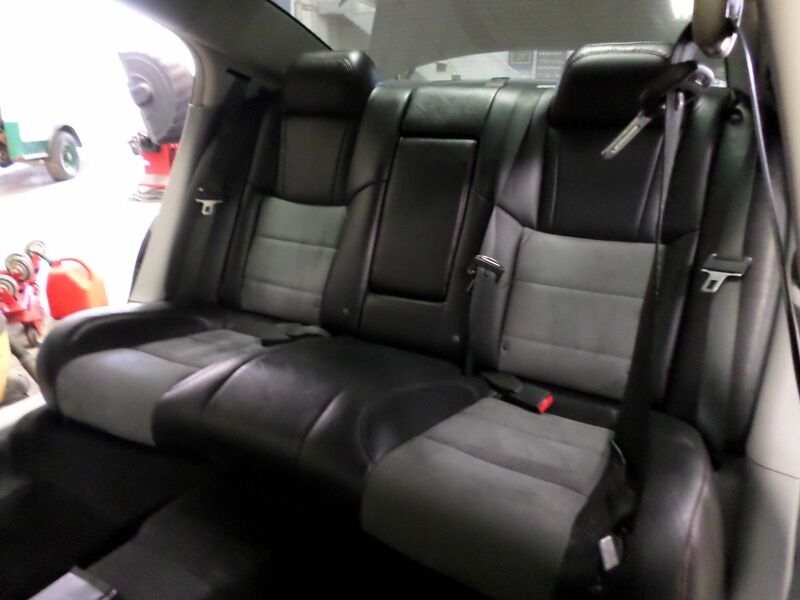 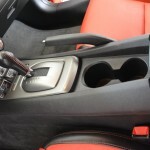 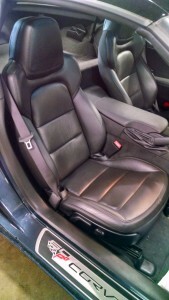 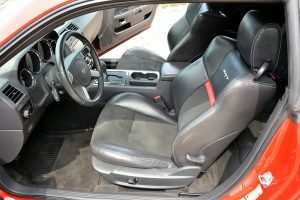 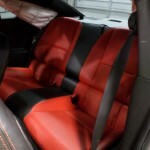 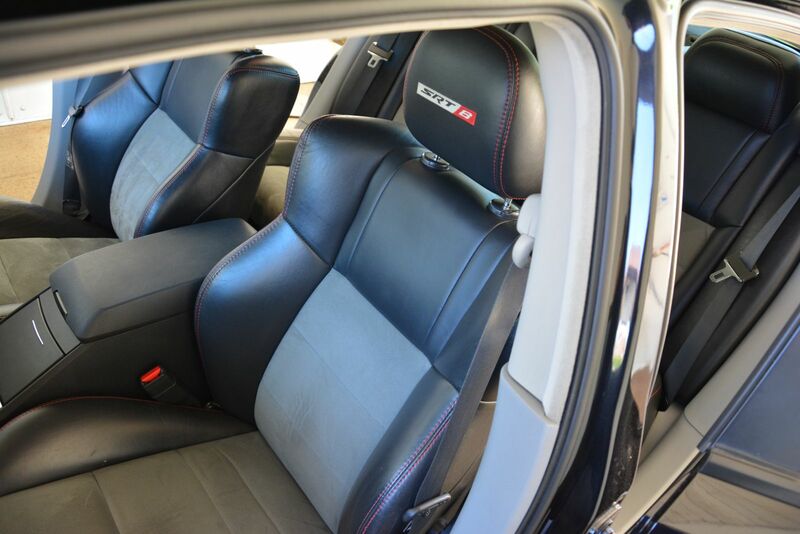 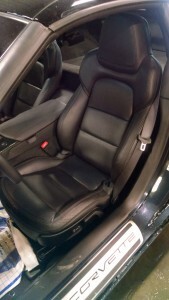 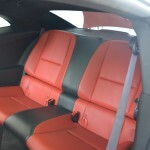 OEM Viper Black leather and suede seats and complete interior as pictured. 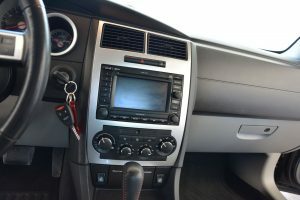 The interior shows signs of normal use, as pictured. 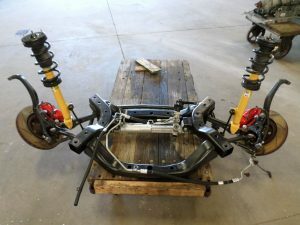 Complete front and rear suspensions with shocks, brakes, and more. OEM Viper wheels on Michelin Pilot Sport tires. 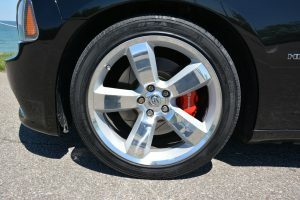 The front are size 275/35/18 and the rears are 345/30/19. 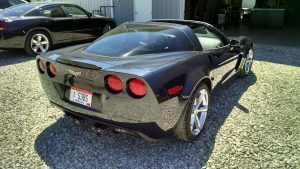 Please give us a call at 866-236-5031 with any questions regarding this car, or to place an order on it.